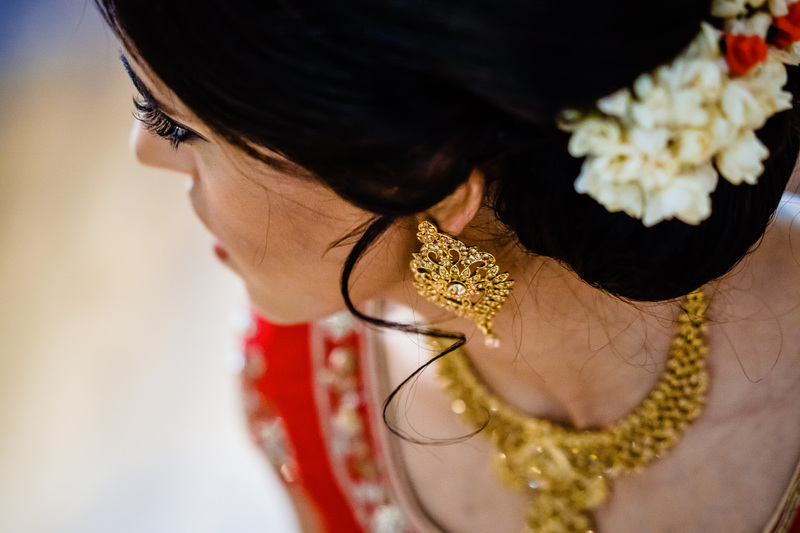 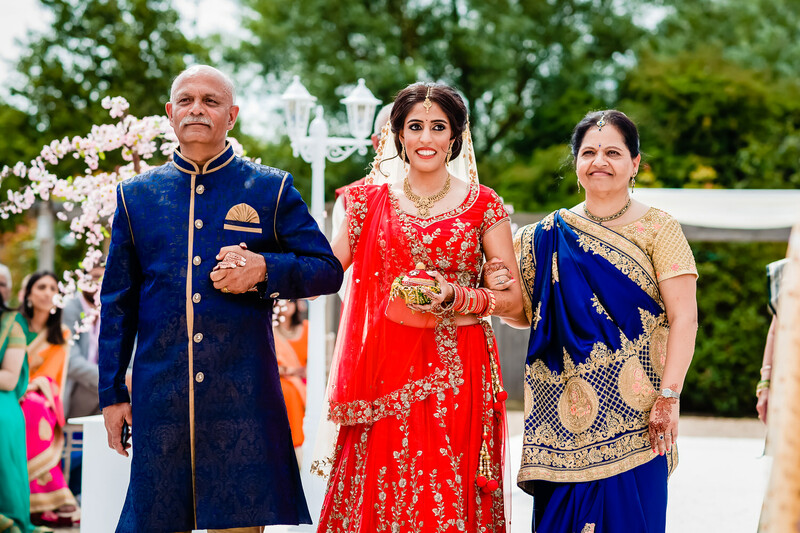 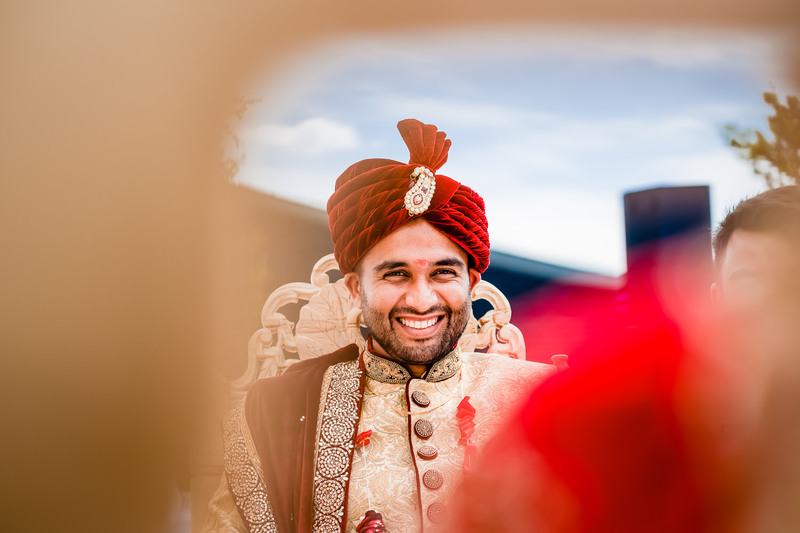 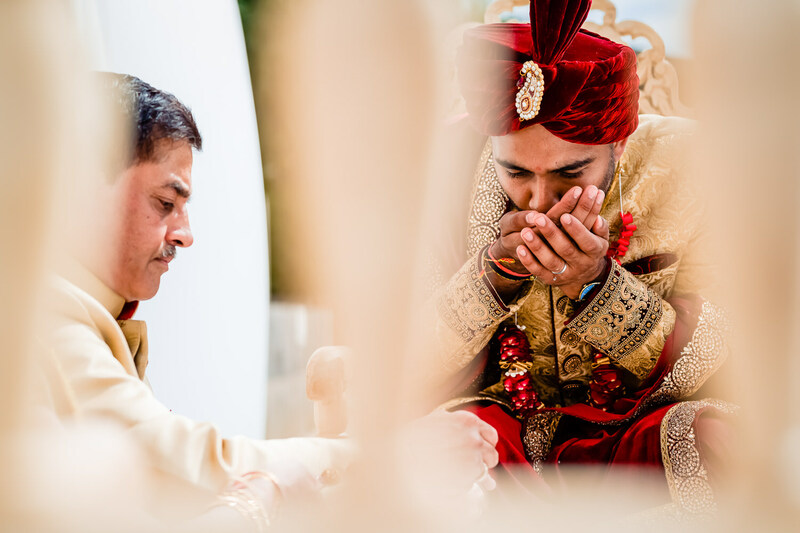 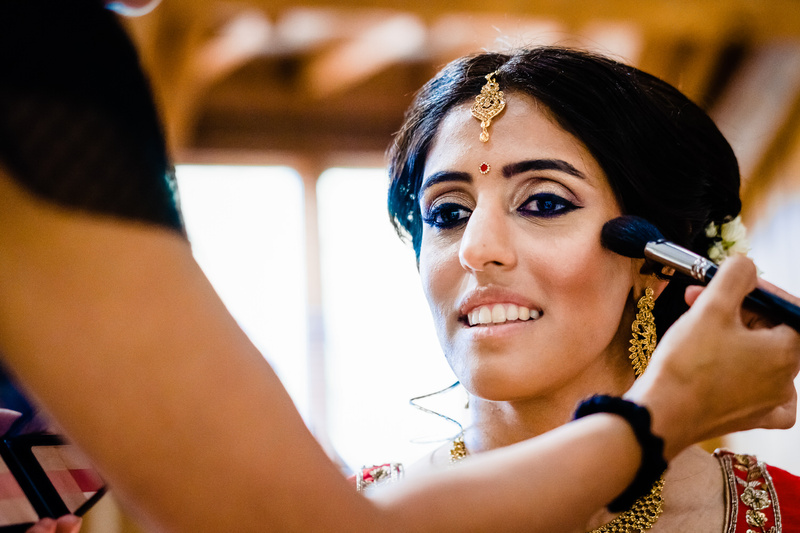 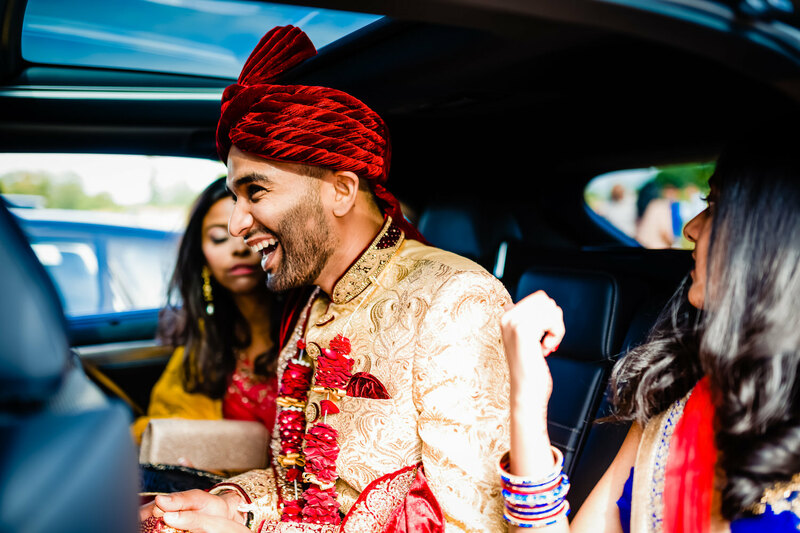 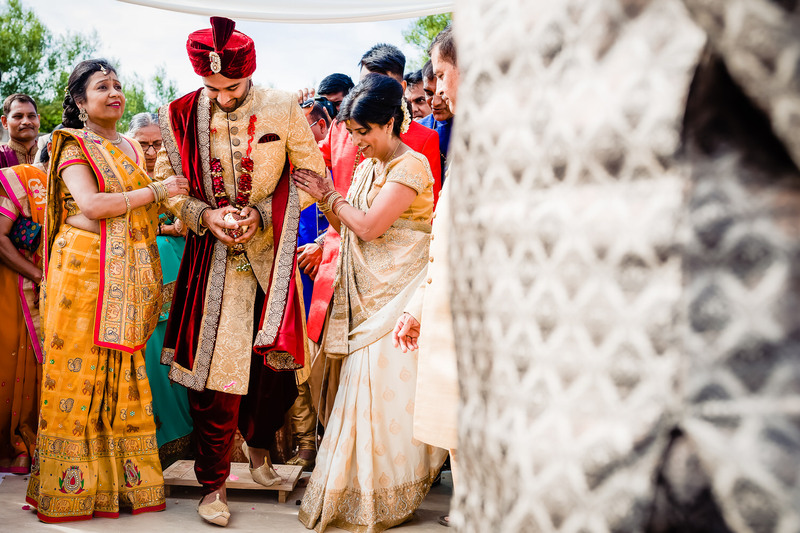 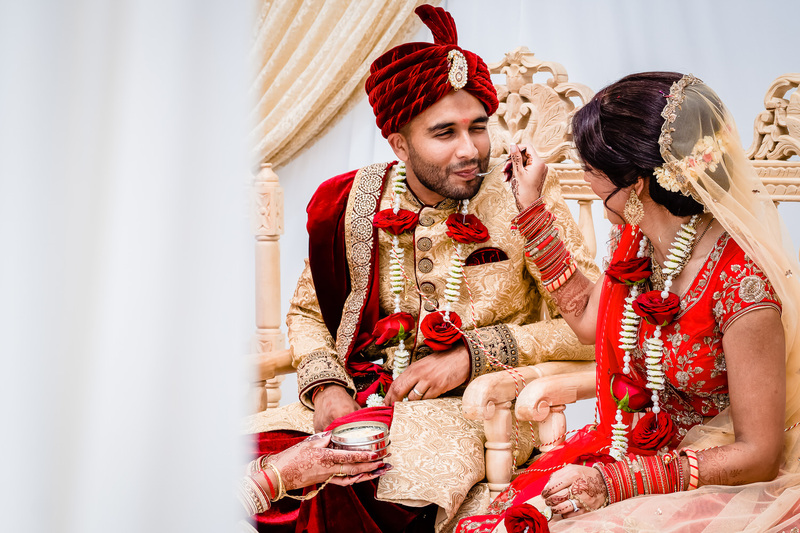 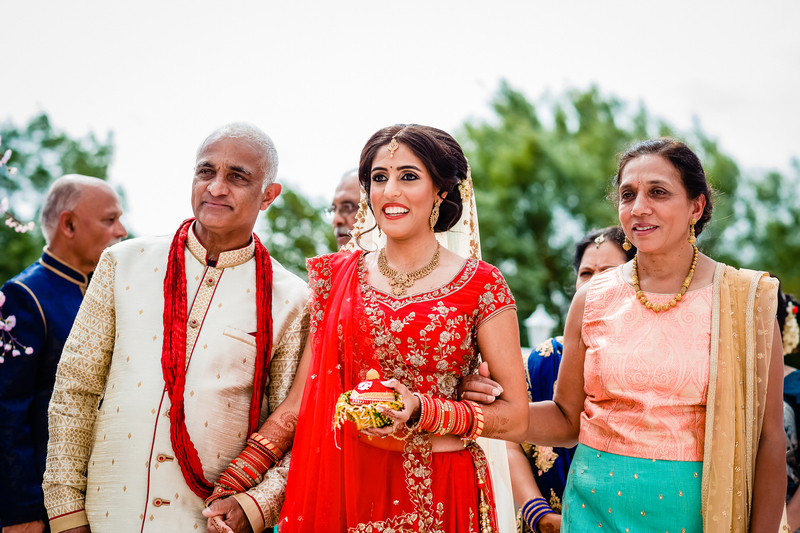 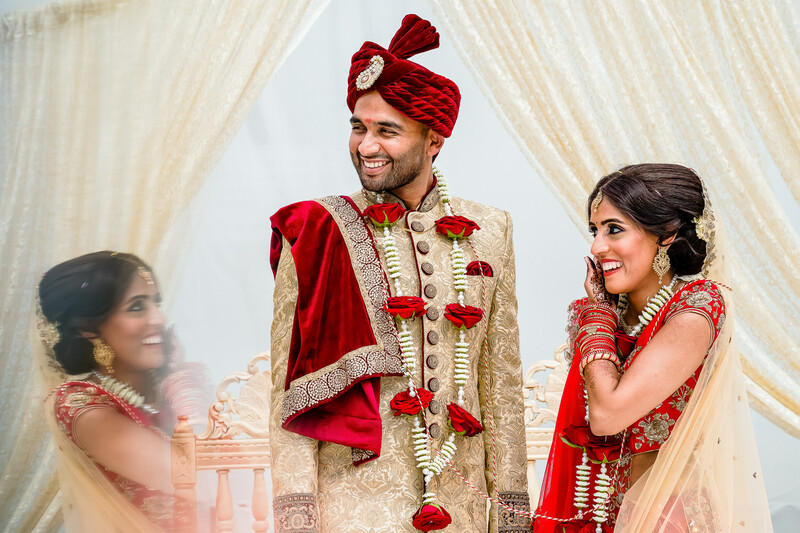 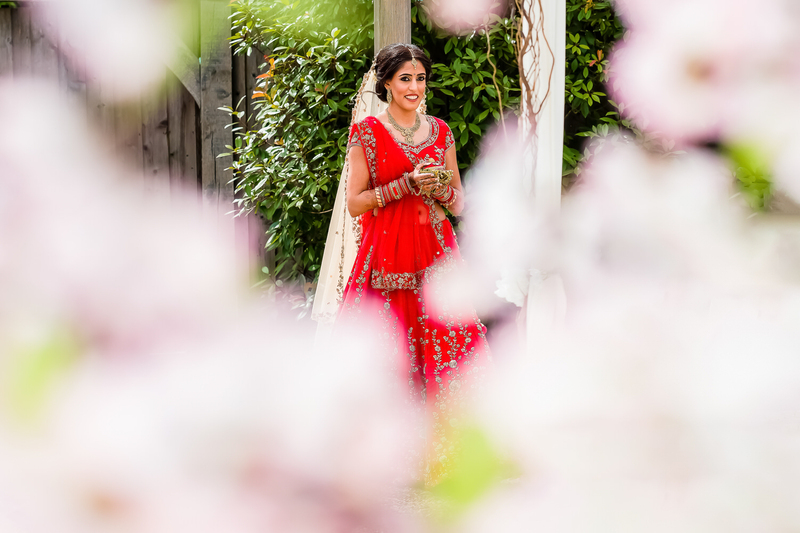 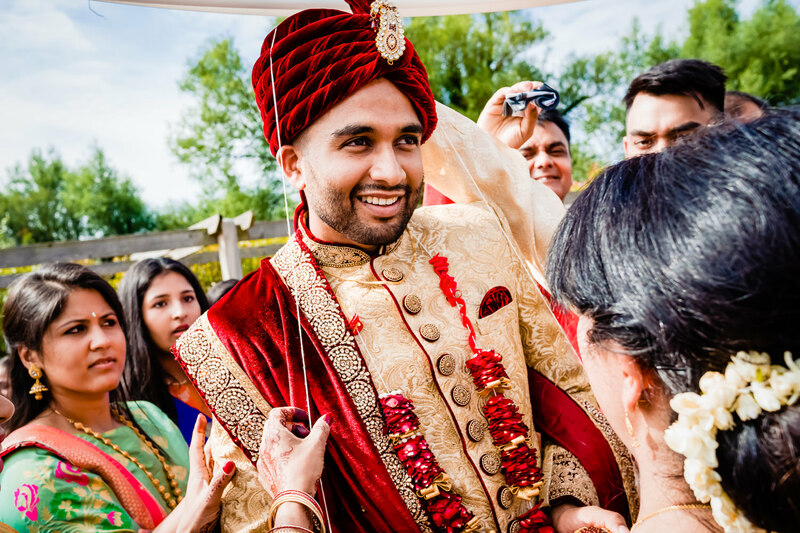 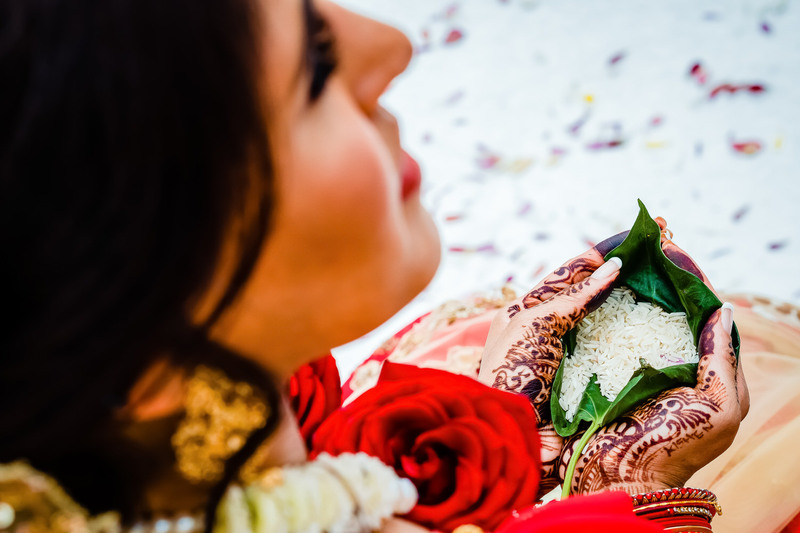 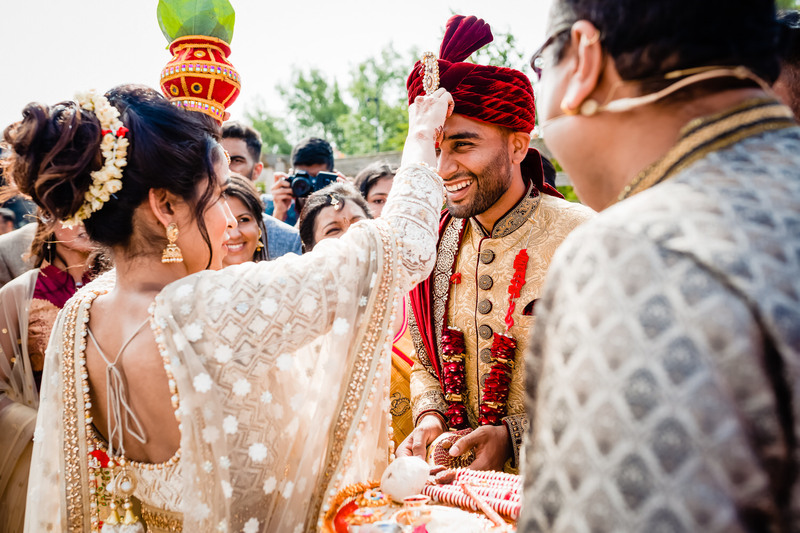 When I think back to Jayna & Kishen’s Hindu wedding, my memories are infused with a warm summer’s glow and set to the soundtrack of rustling leaves and birds chirping. 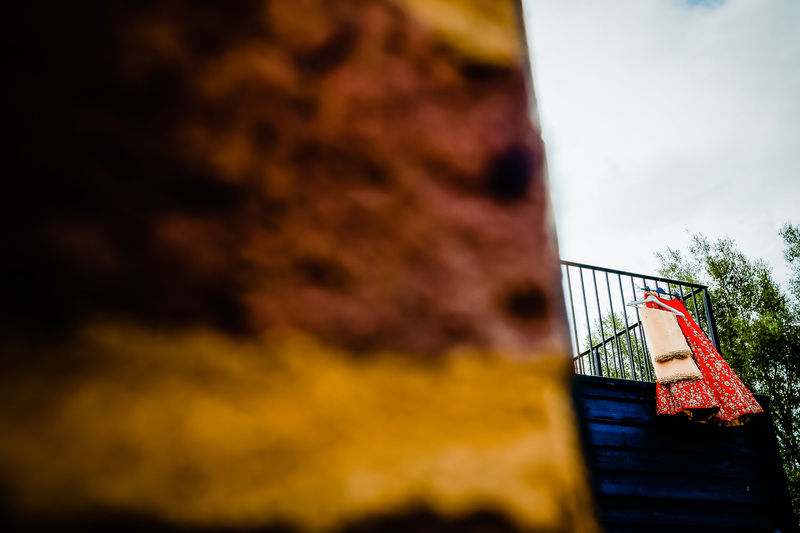 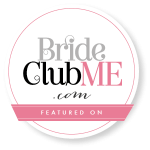 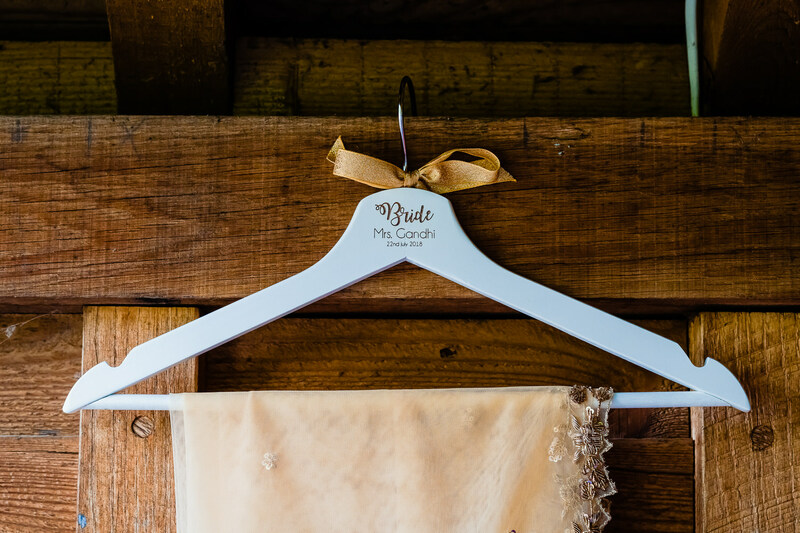 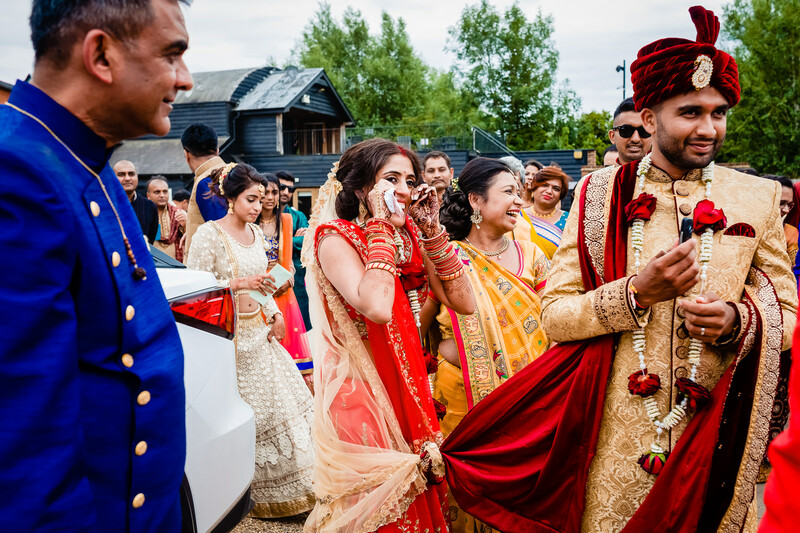 This is because their wedding took place at Tewin Bury Farm Hotel, a beautiful barn venue with acres of land, nestled deep in the Hertfordshire countryside. 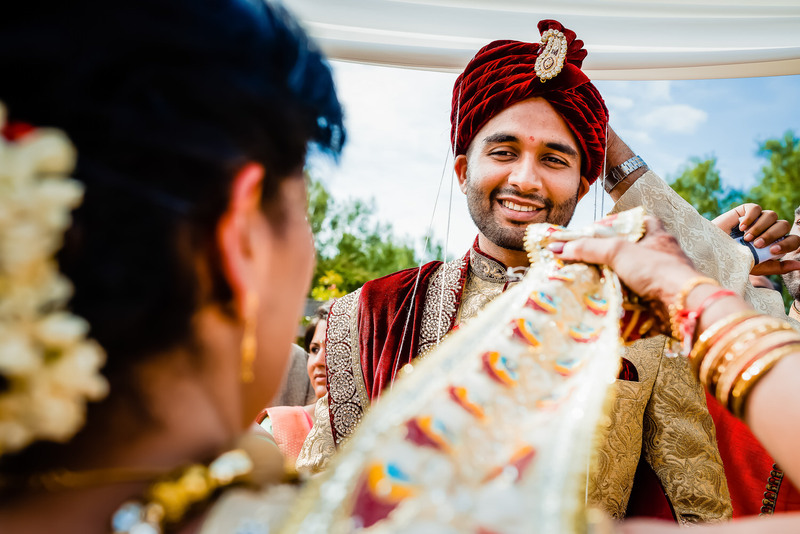 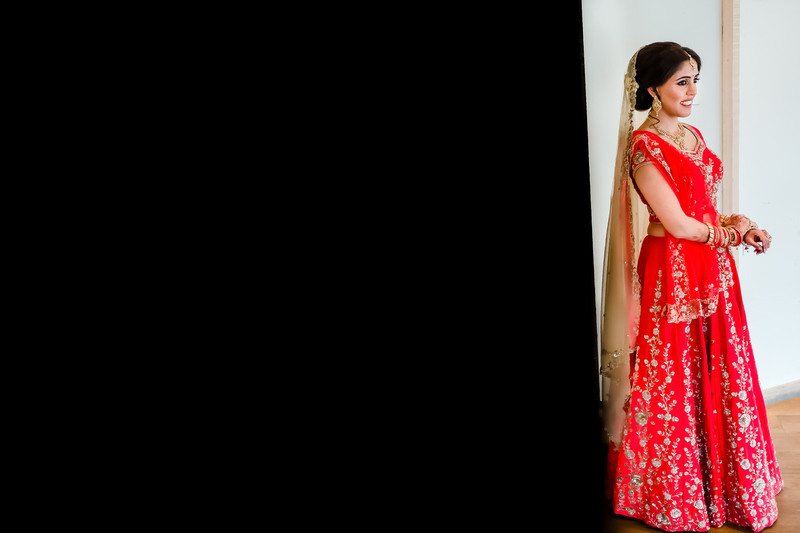 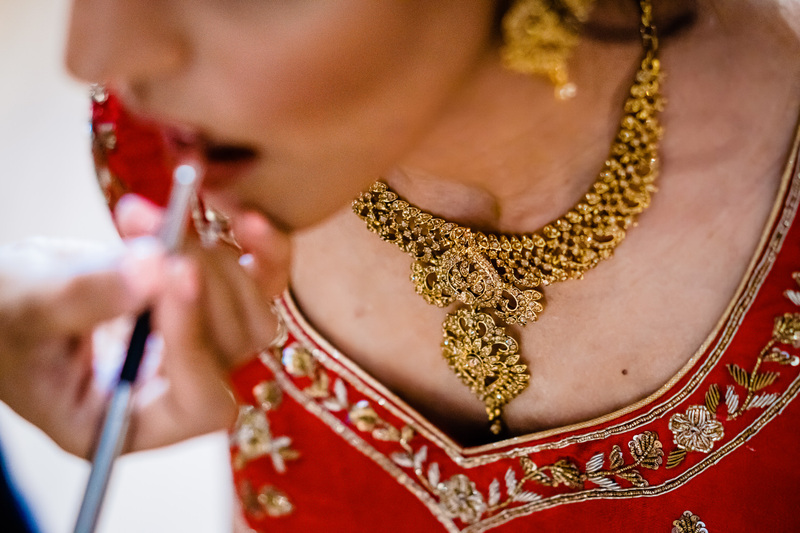 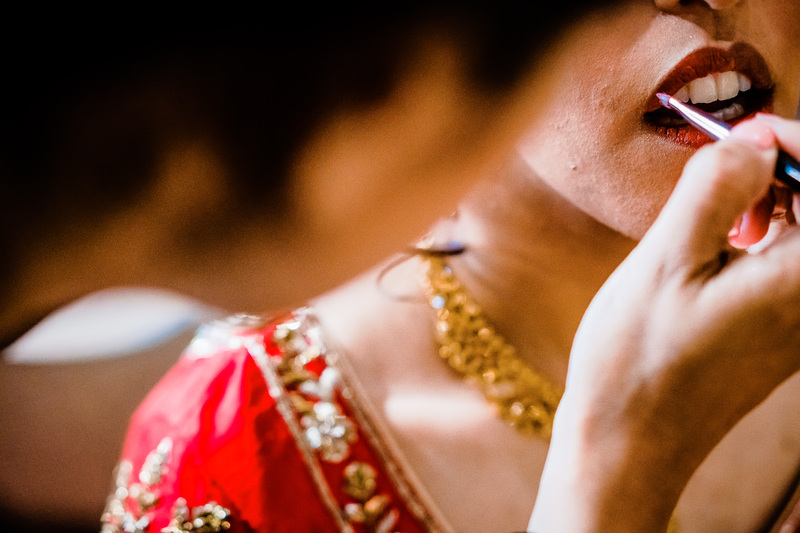 Jayna & Kishen’s wedding felt like a destination wedding, without having to go abroad, as their wedding photographer, this made a fun wedding even more enjoyable. 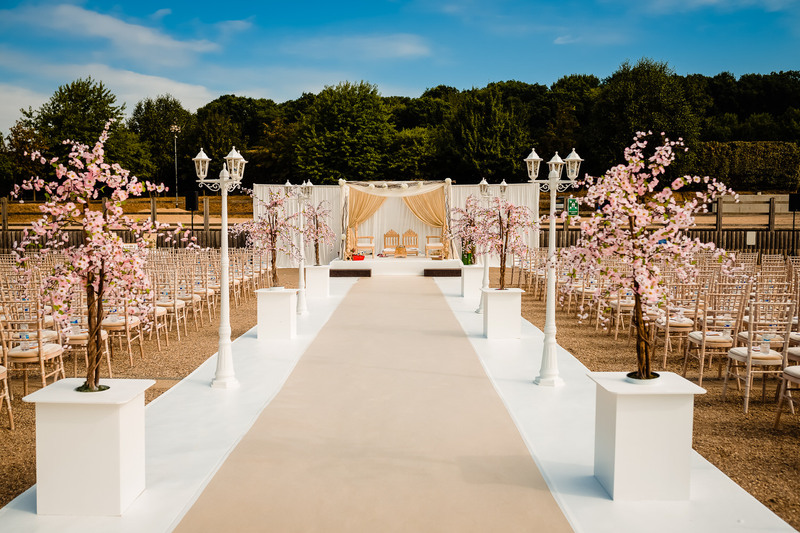 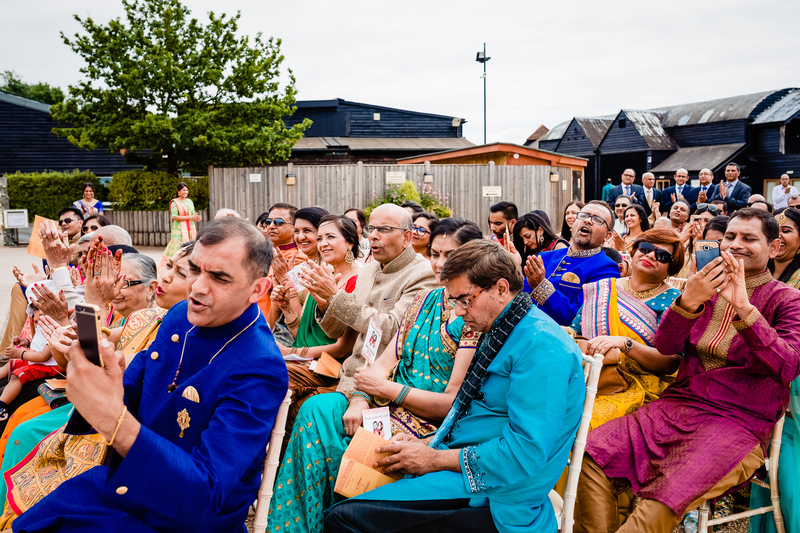 The ceremony was held outdoors with stunning views and clear skies. 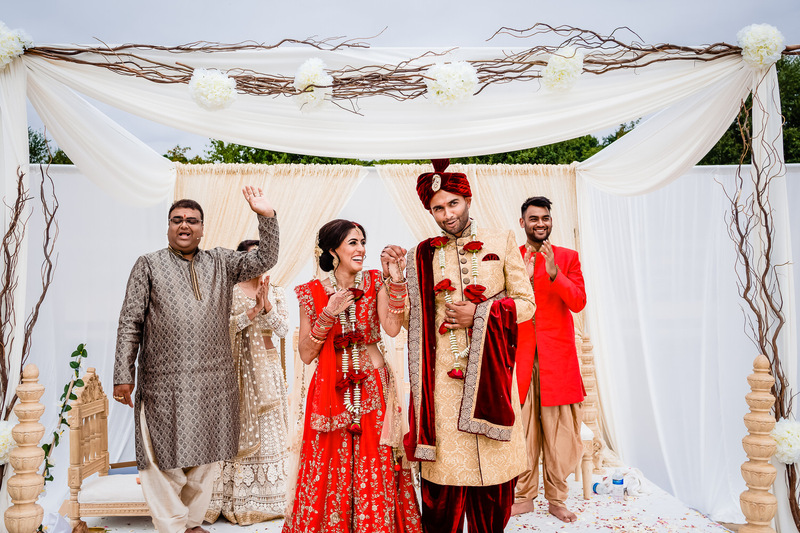 As golden sunshine filtered through the ornate, the elegant mandap, aisle decor, and a summer’s breeze warmed the waiting guests, an atmosphere of excited silence descended. 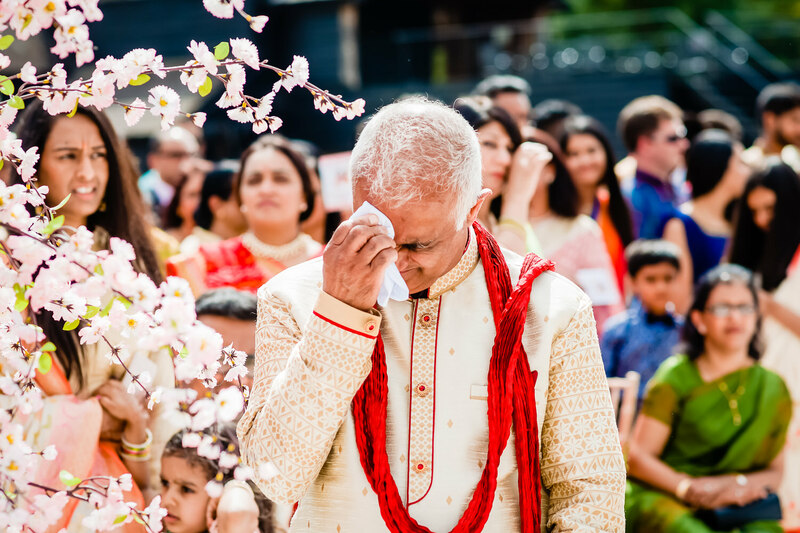 Each delicious second of silence made the ceremony feel more intimate, and once the ritual was concluded the room erupted into jubilant tears and embraces. 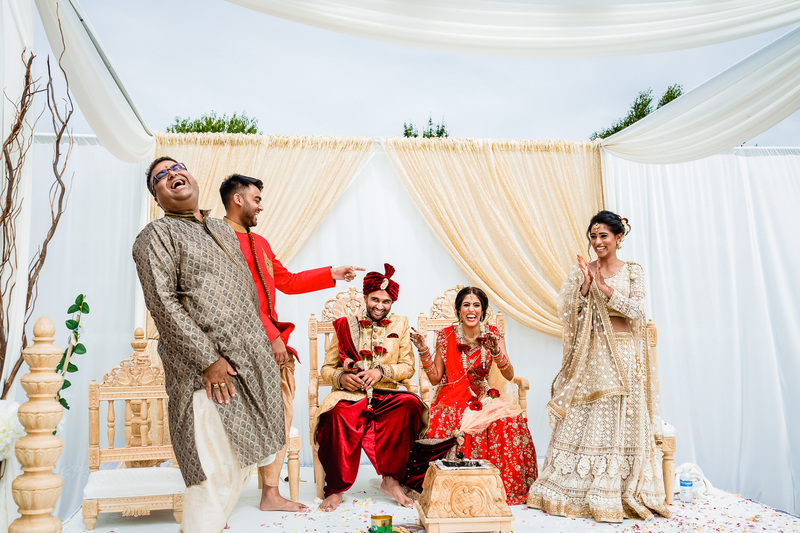 The photographs show a celebratory family, laughing children, and a couple, completely entranced by one another. 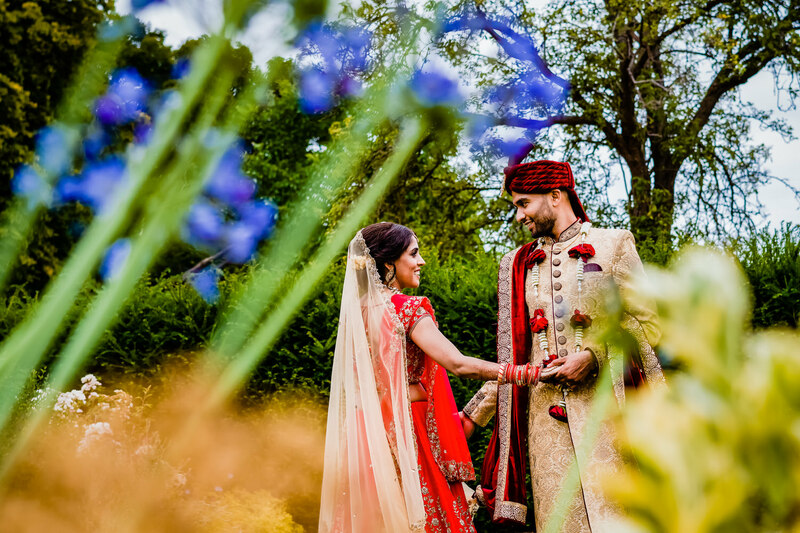 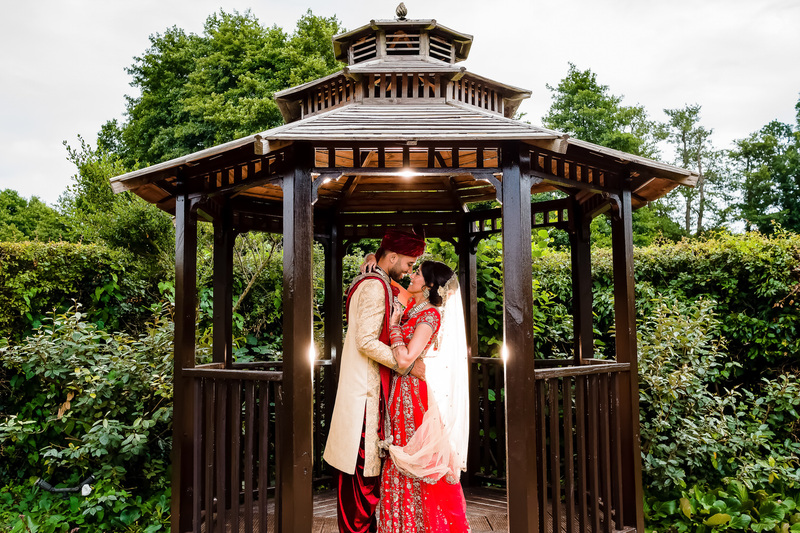 I wanted to make sure that Jayna & Kishen would never forget that feeling, so I joined them on a stroll around the grounds to capture their first moments as husband and wife. 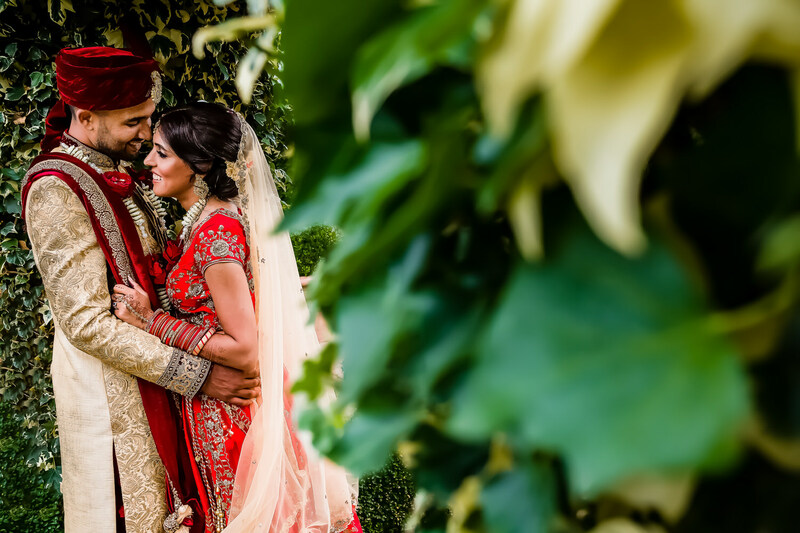 Their expressions say it all, and the greenery all around us created a truly magical photo-shoot. 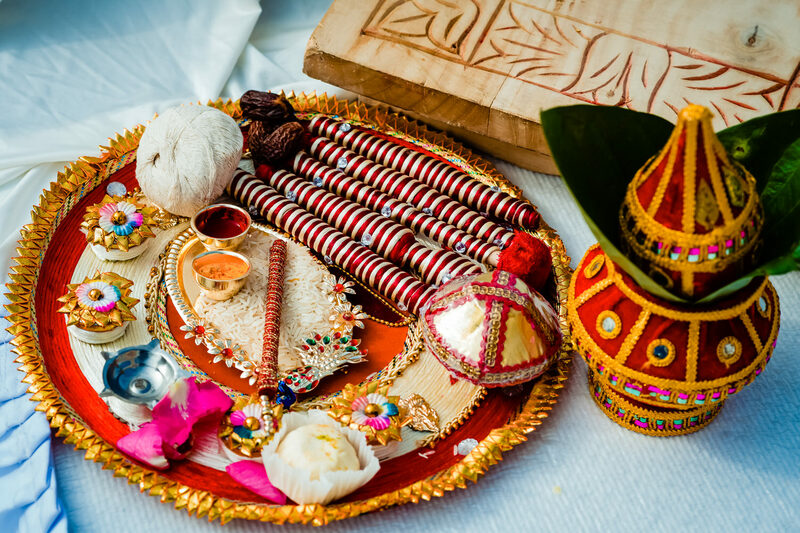 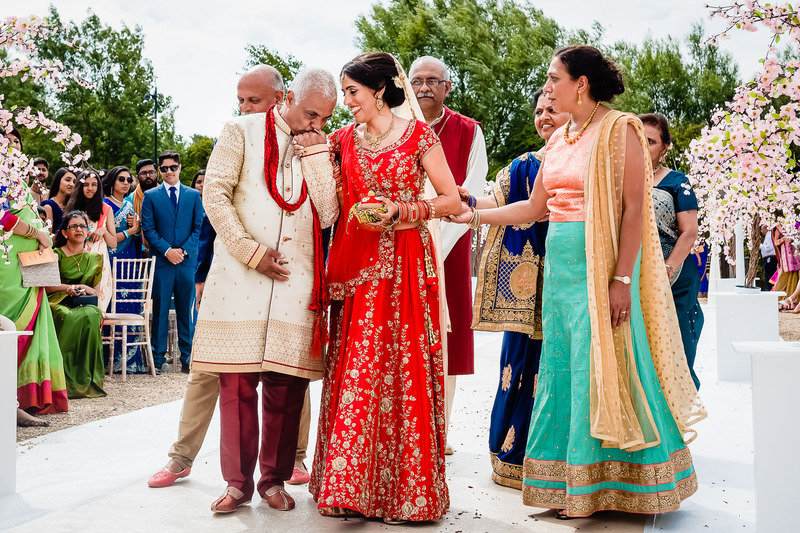 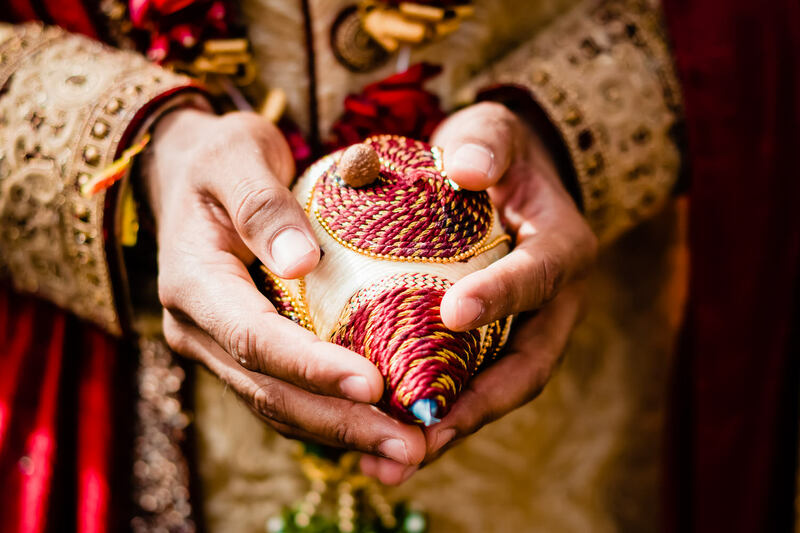 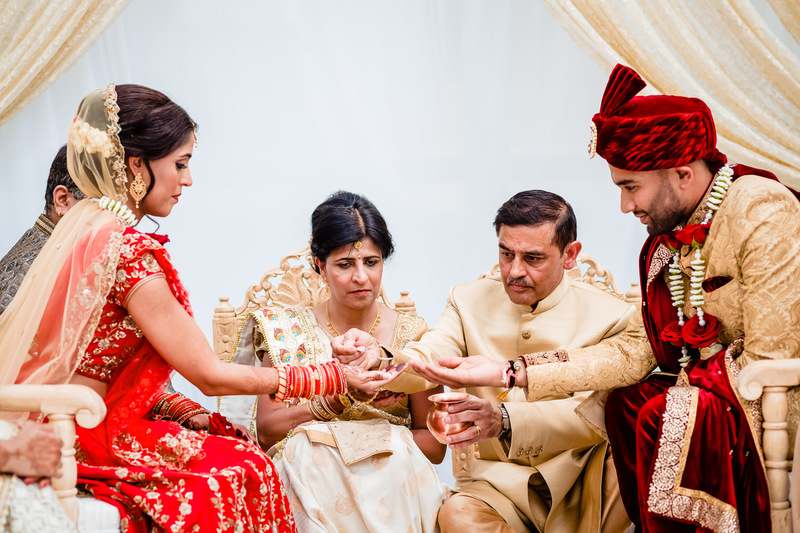 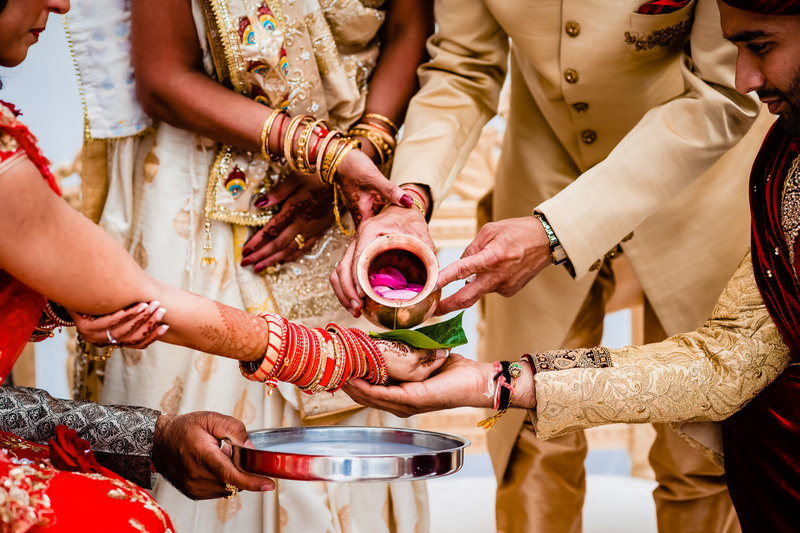 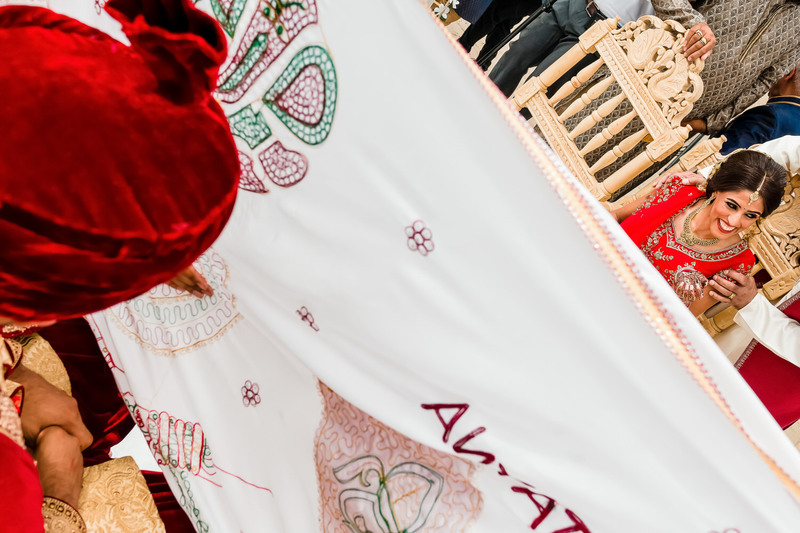 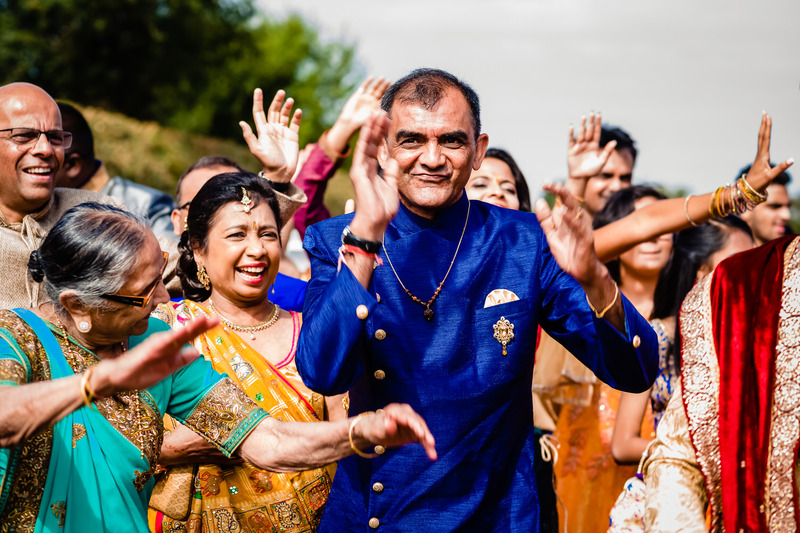 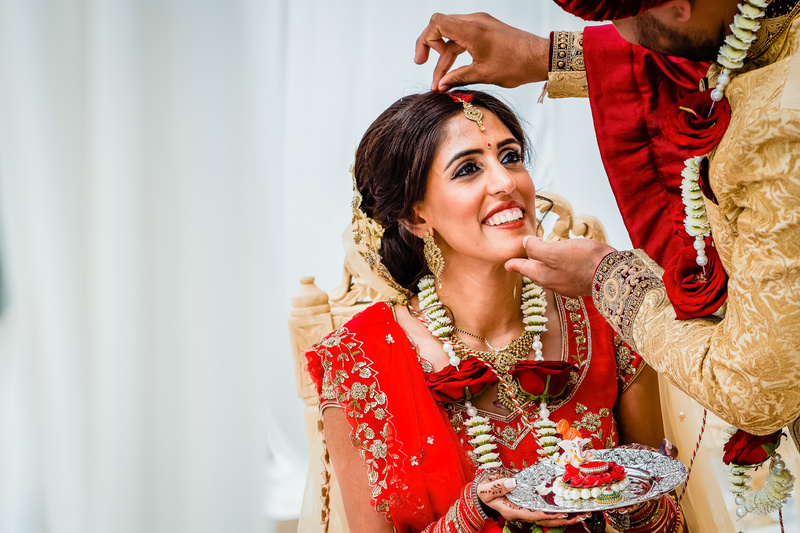 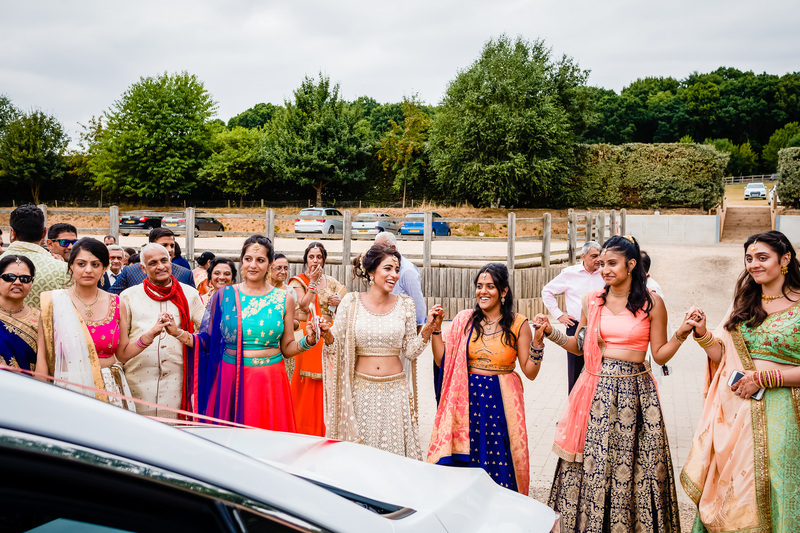 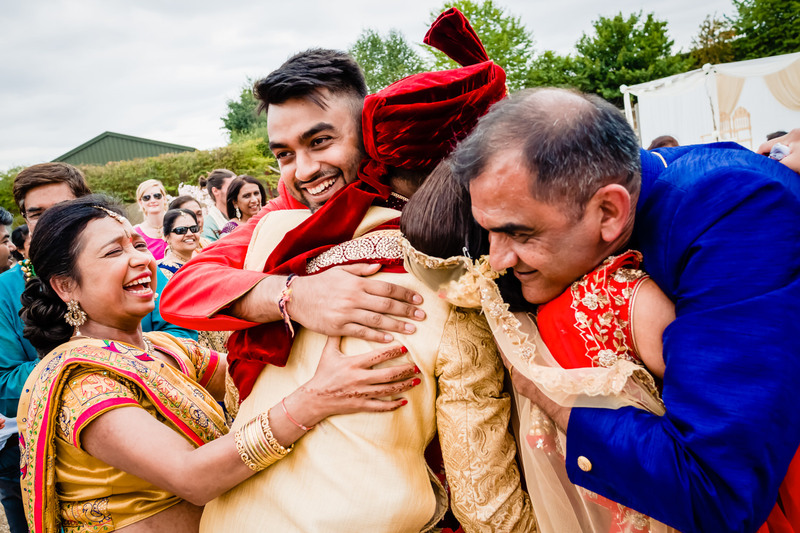 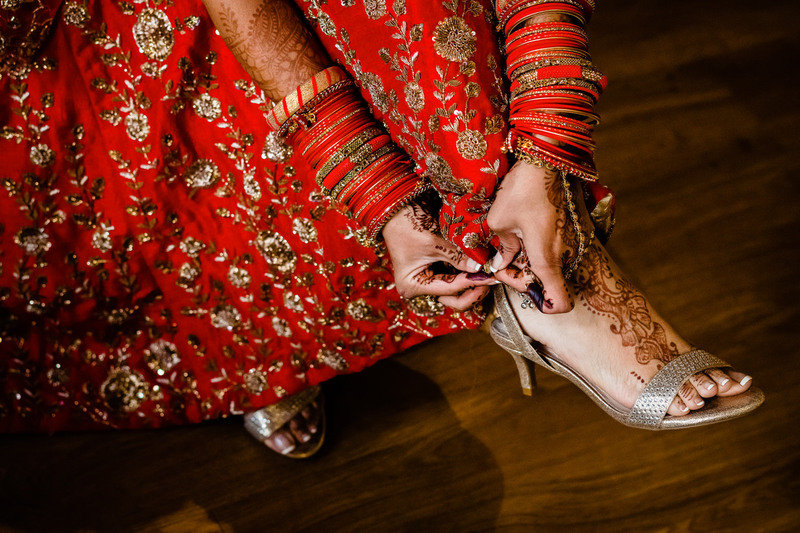 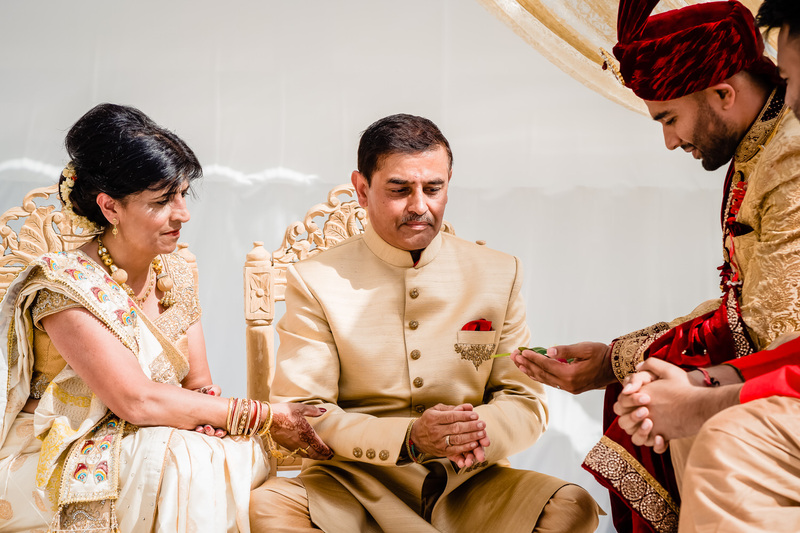 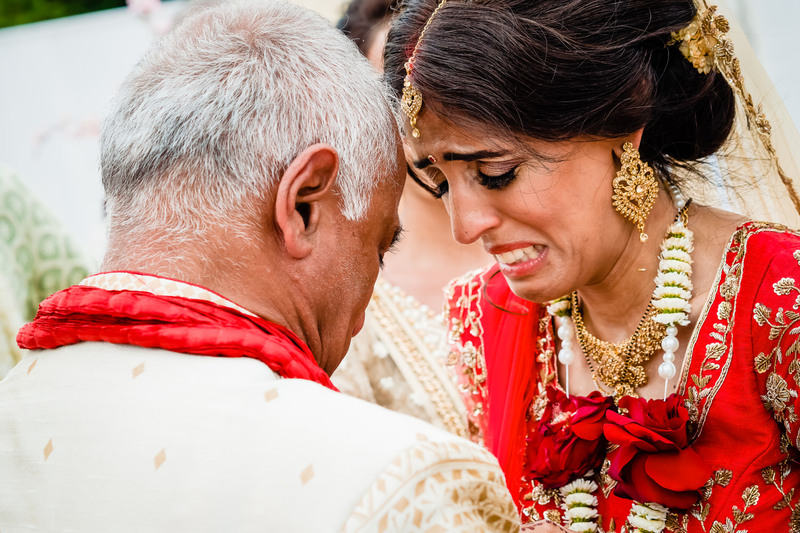 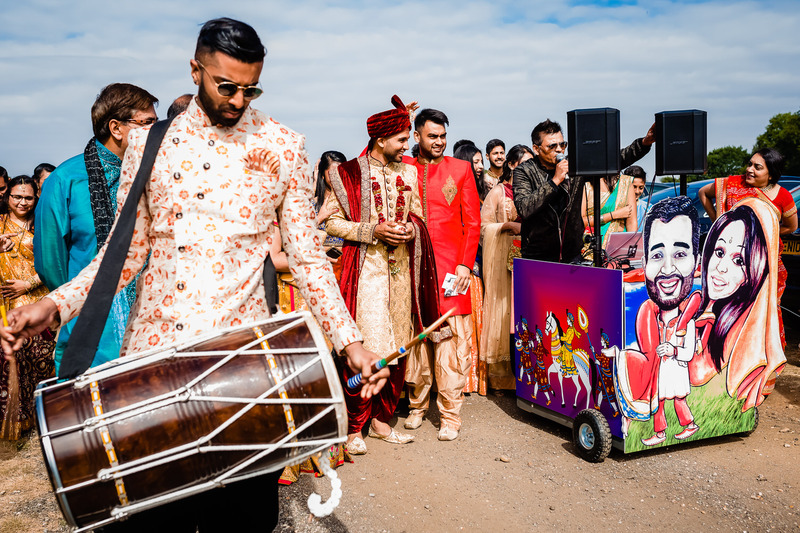 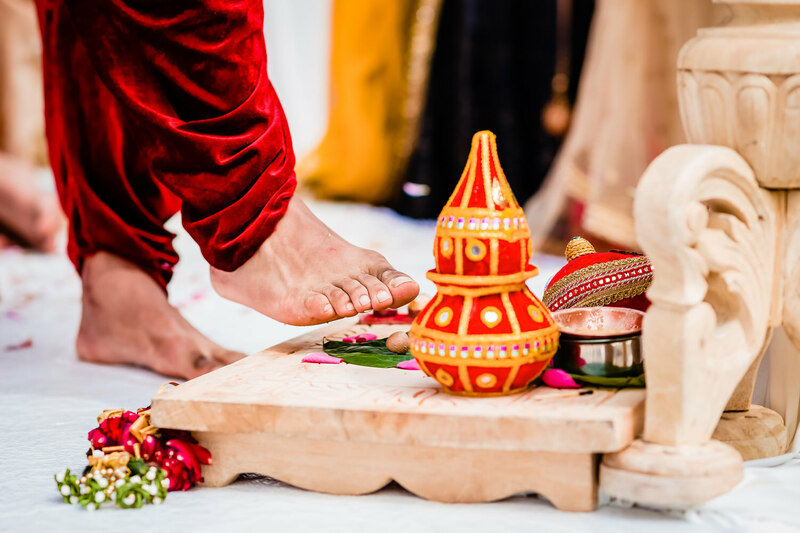 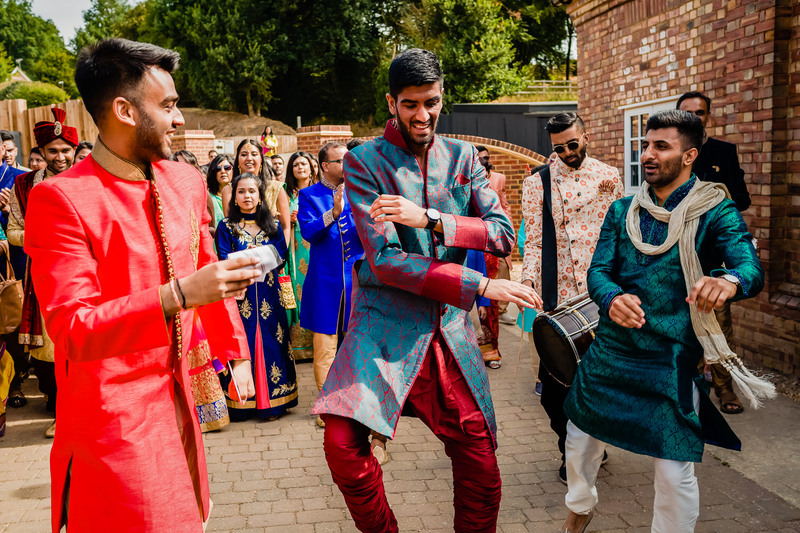 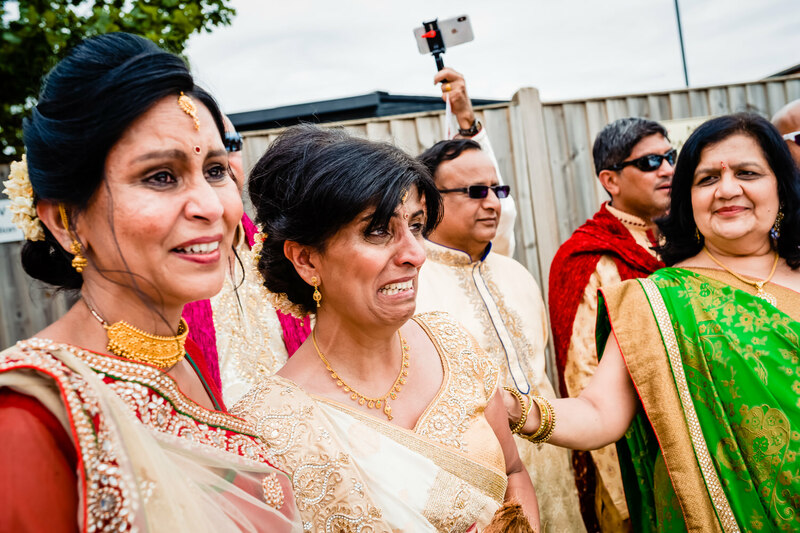 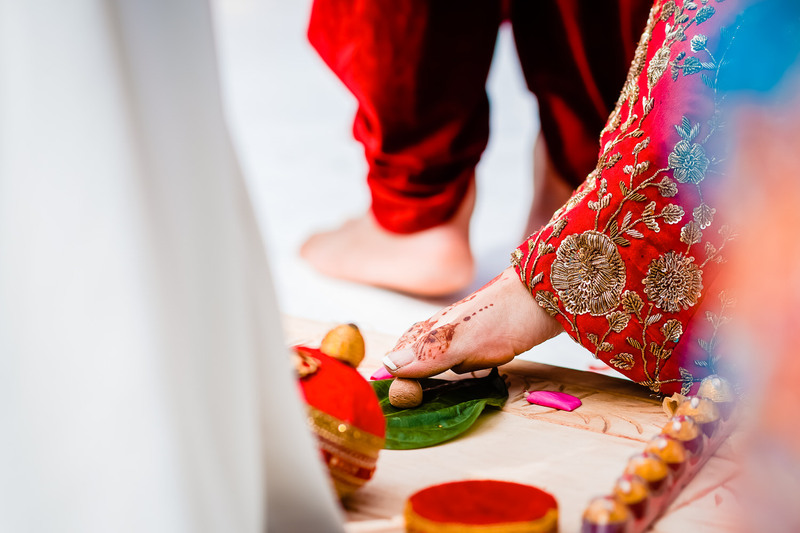 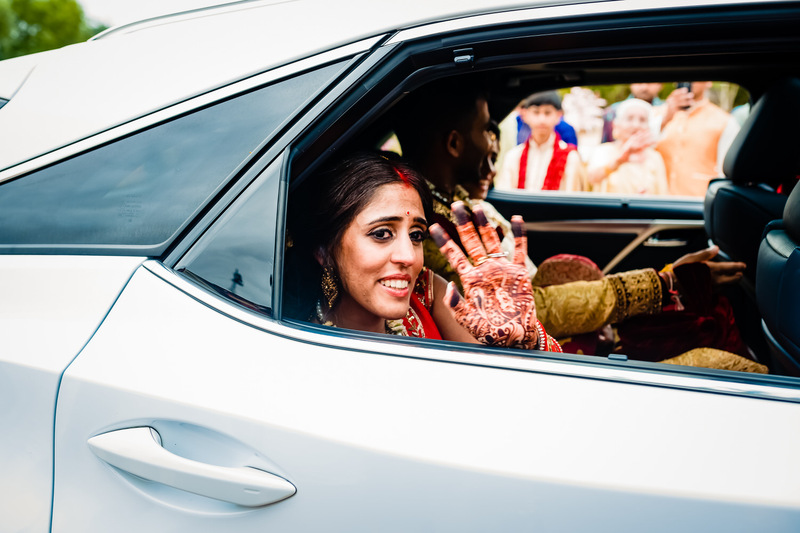 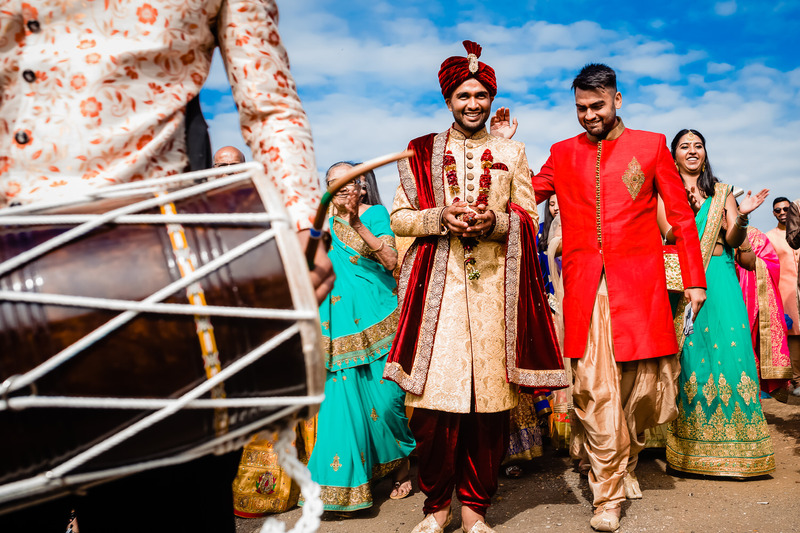 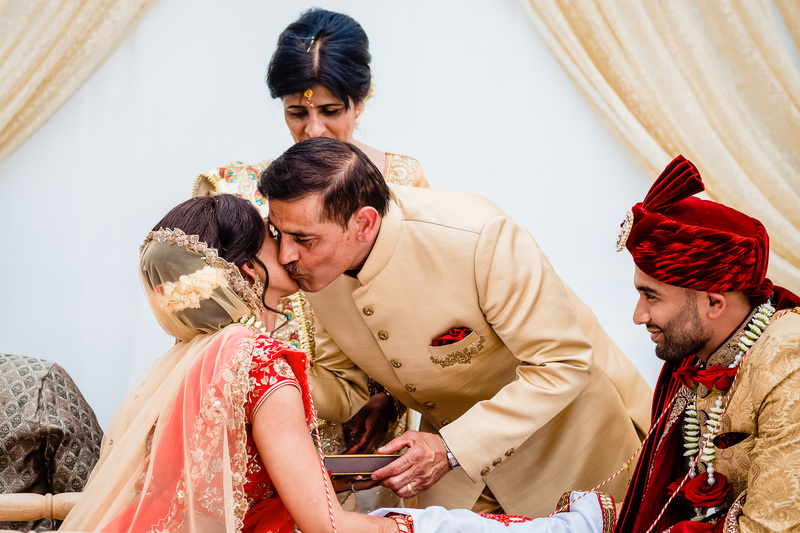 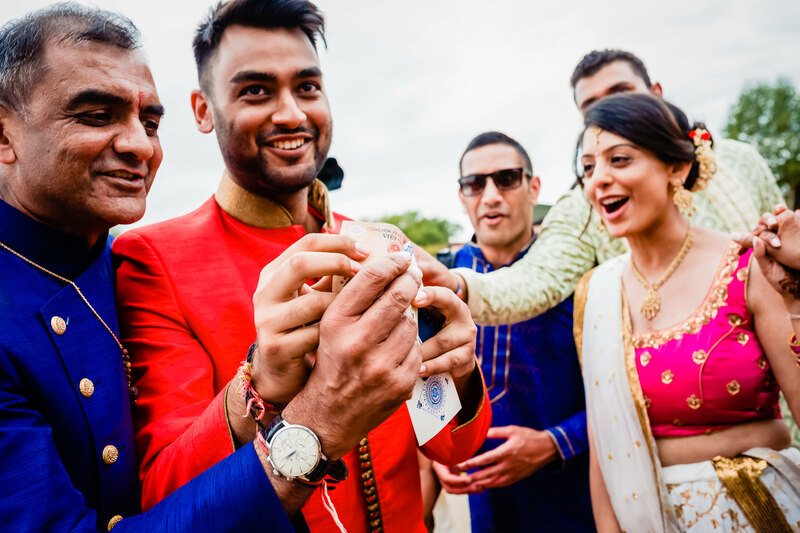 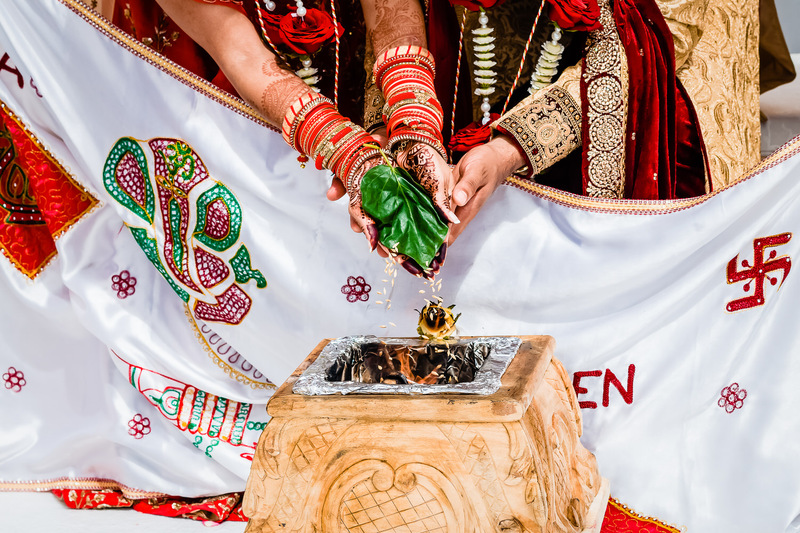 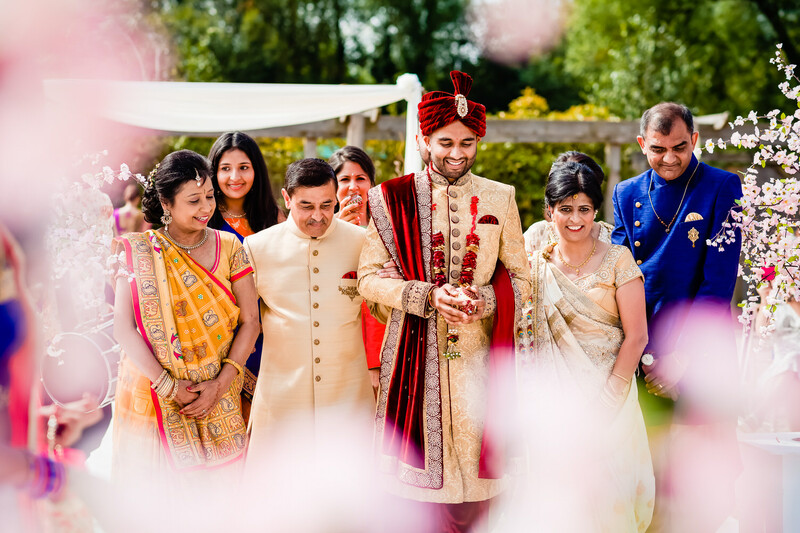 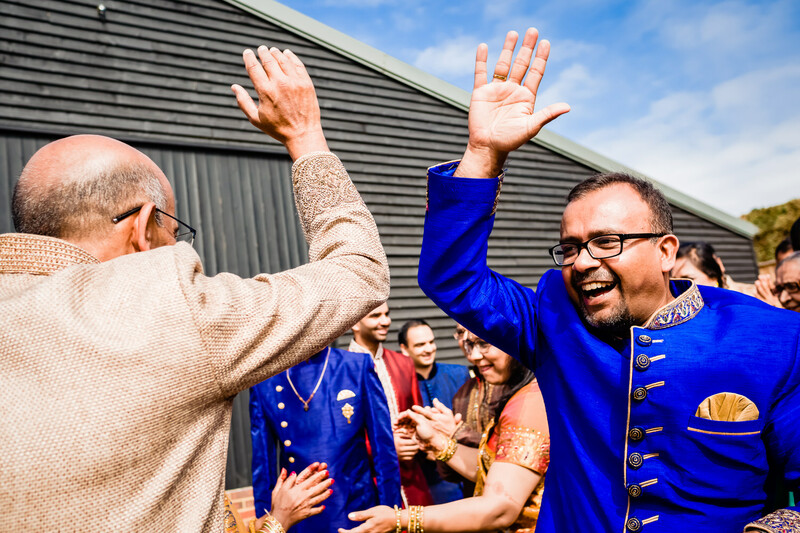 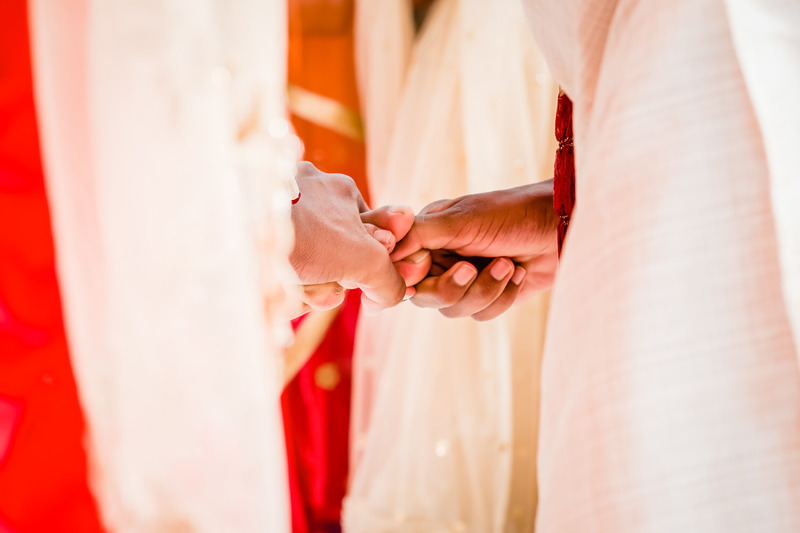 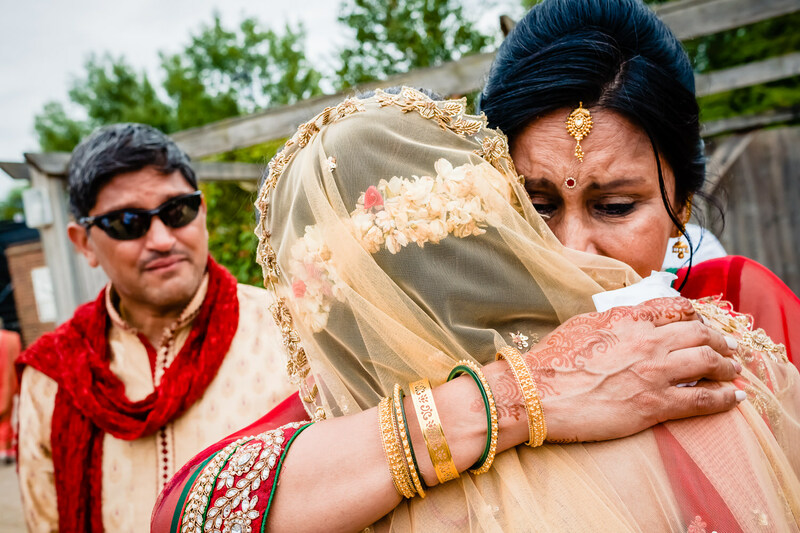 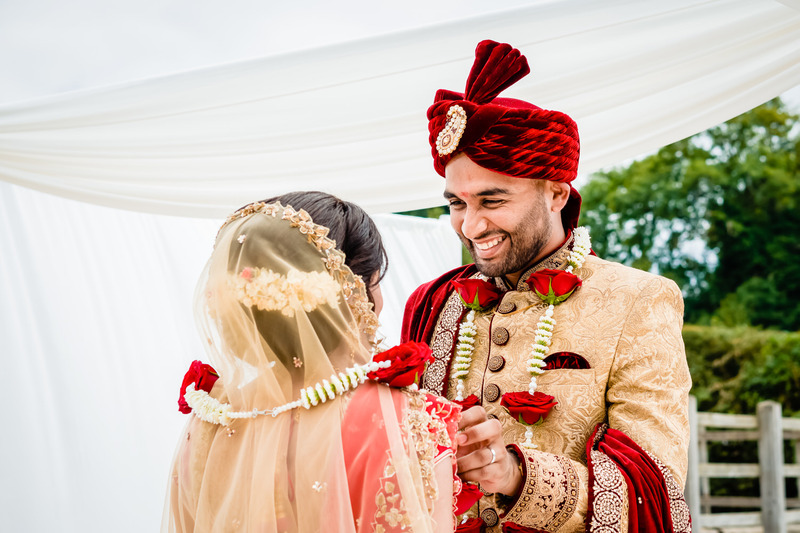 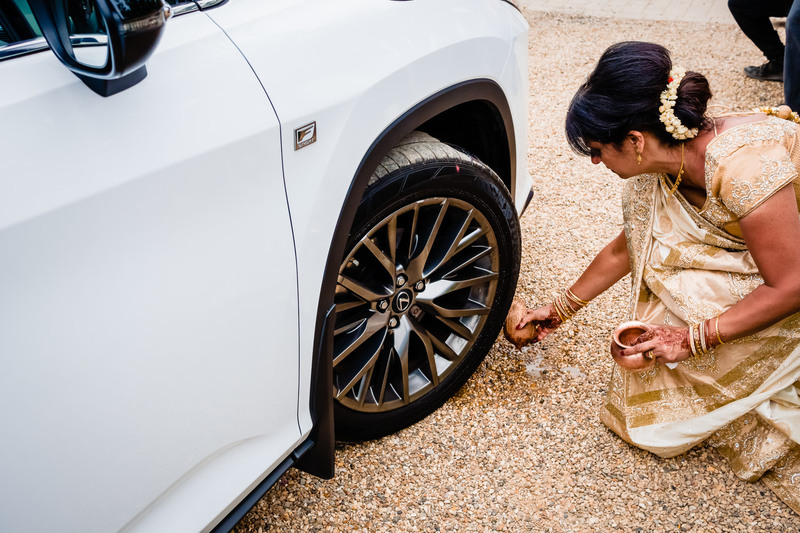 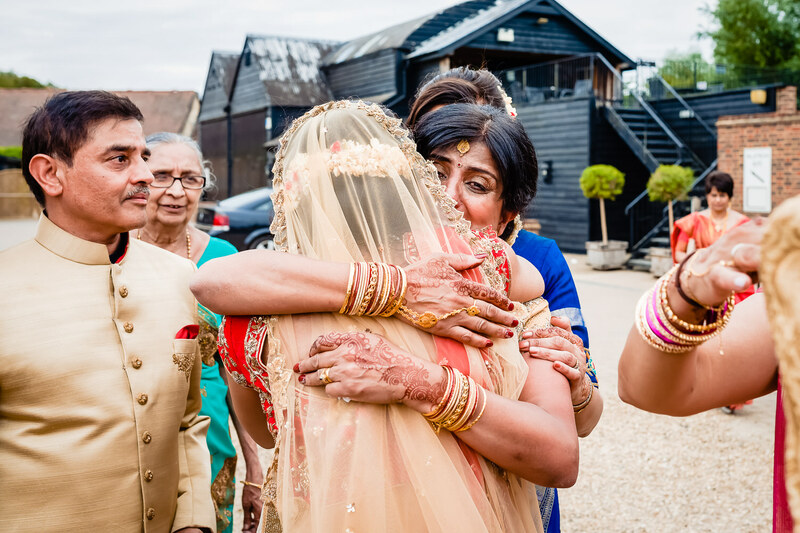 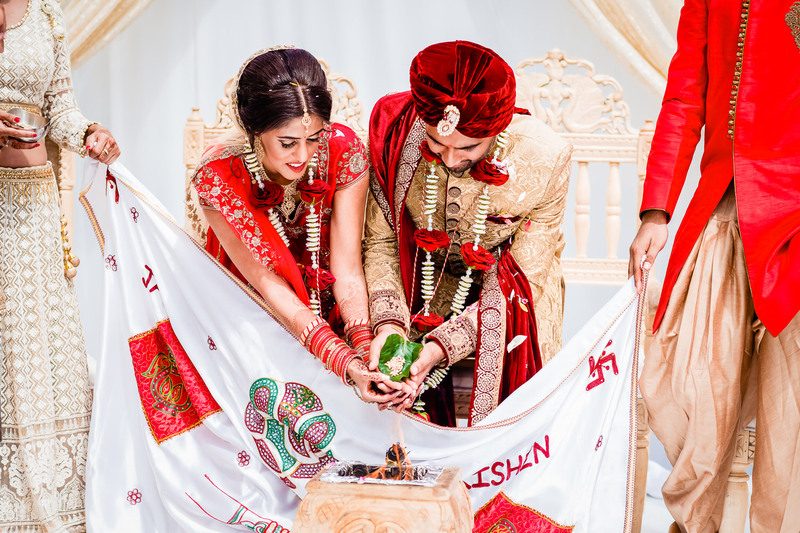 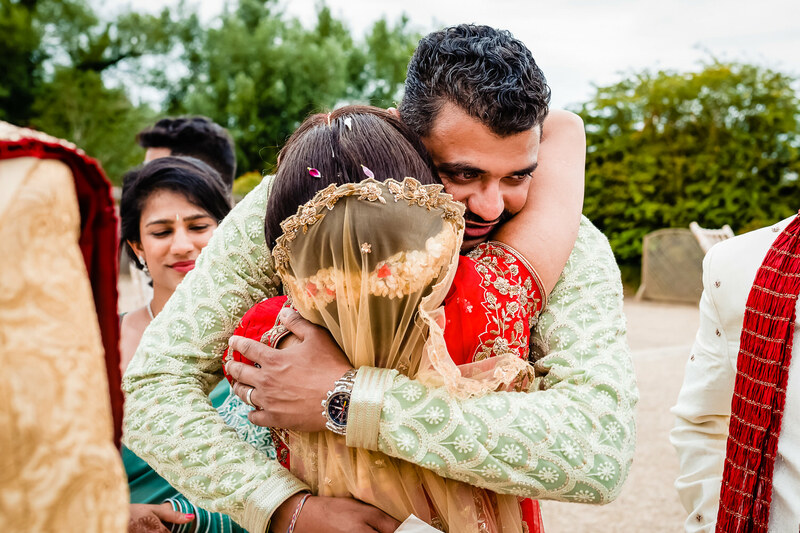 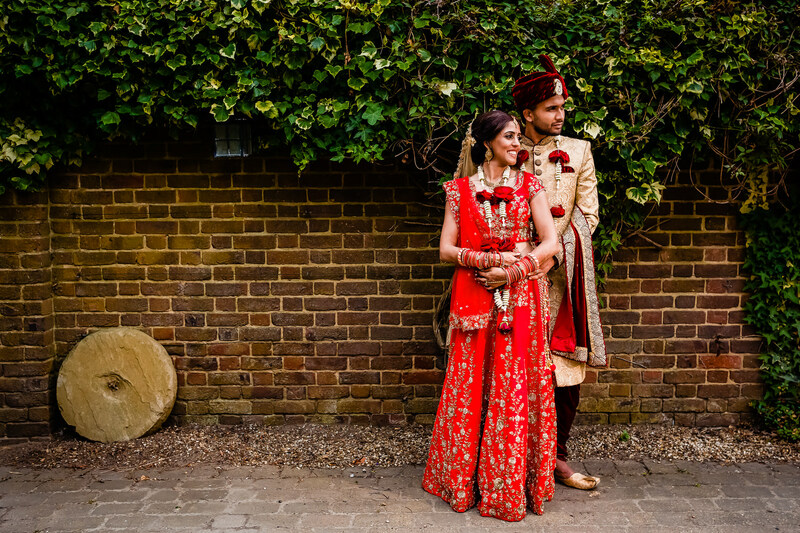 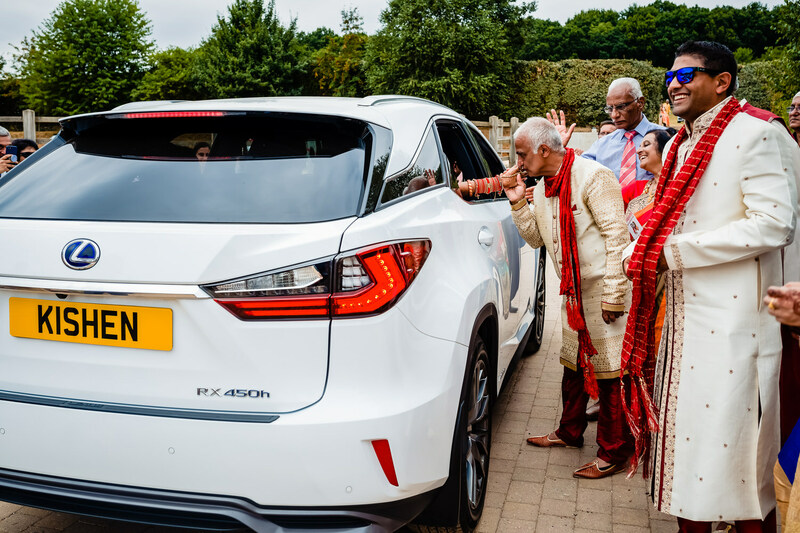 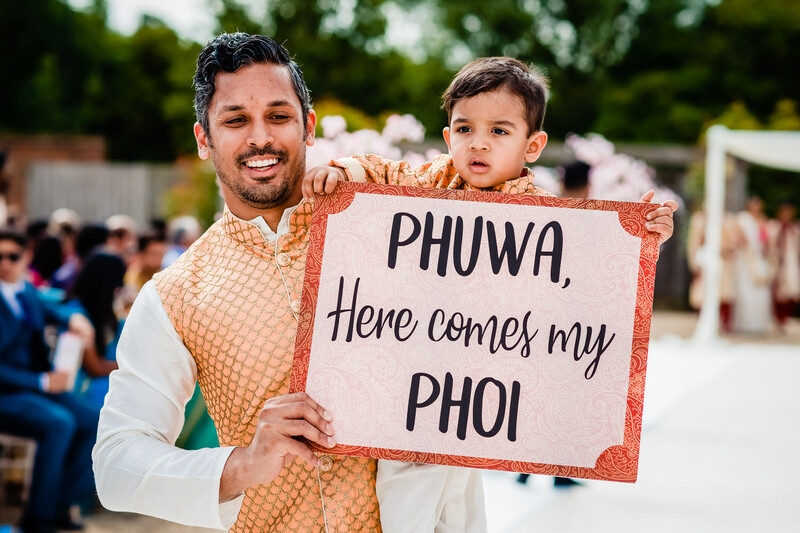 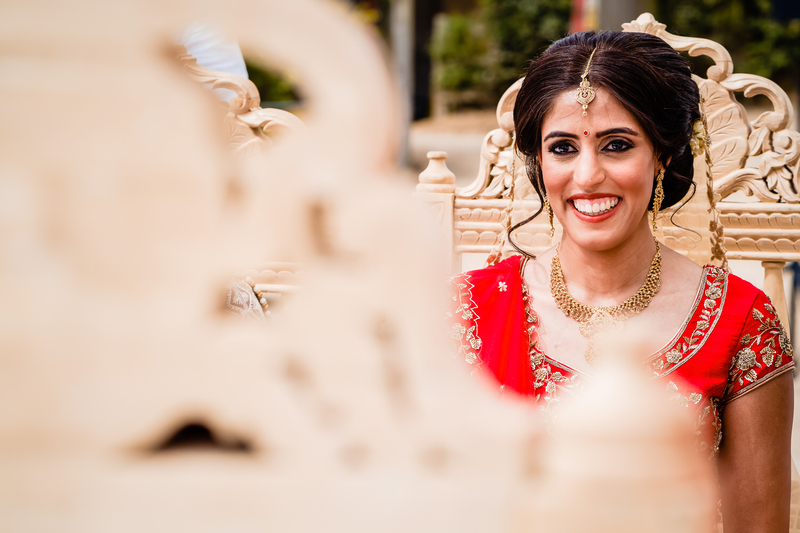 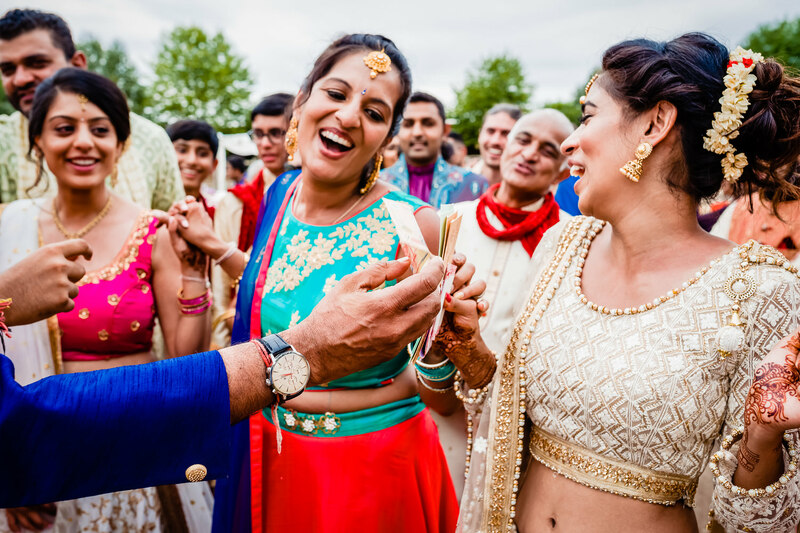 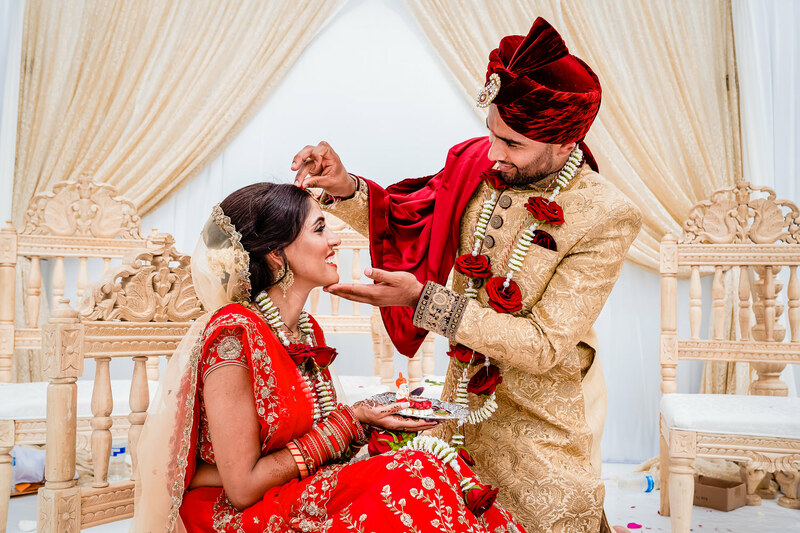 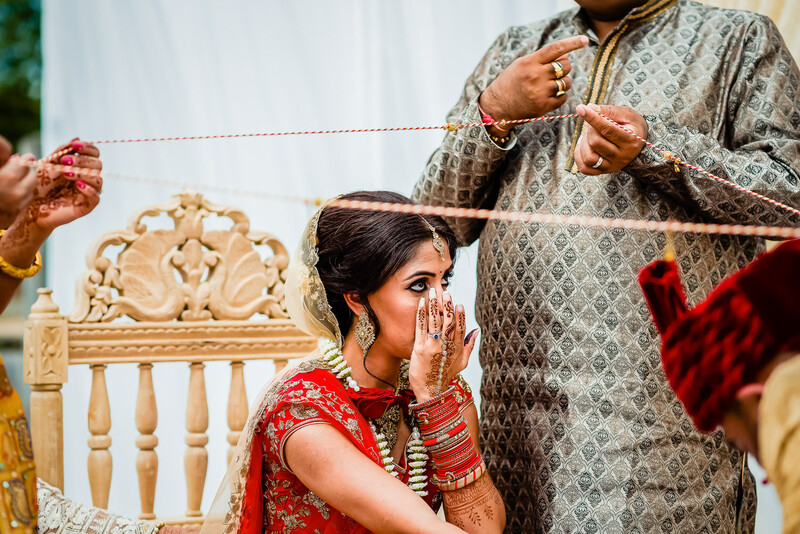 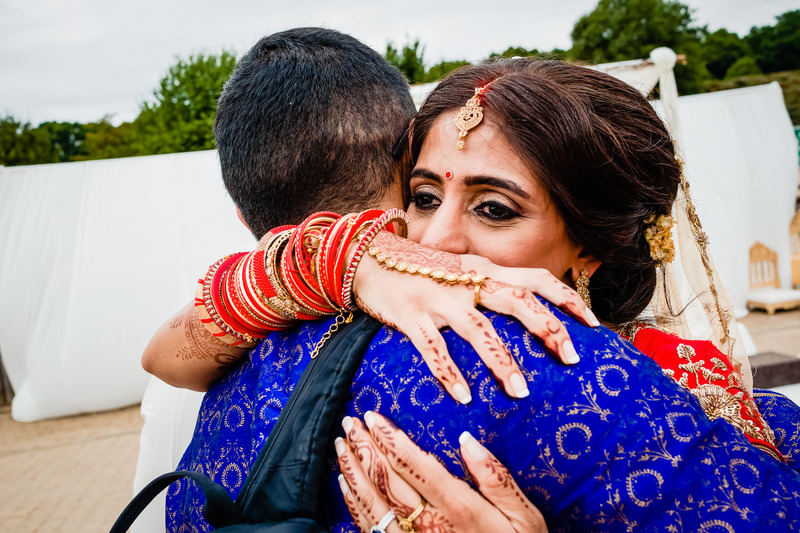 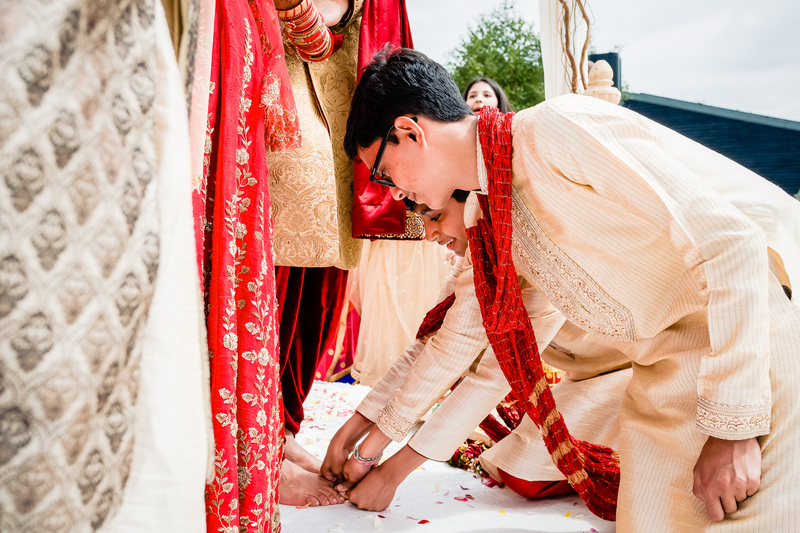 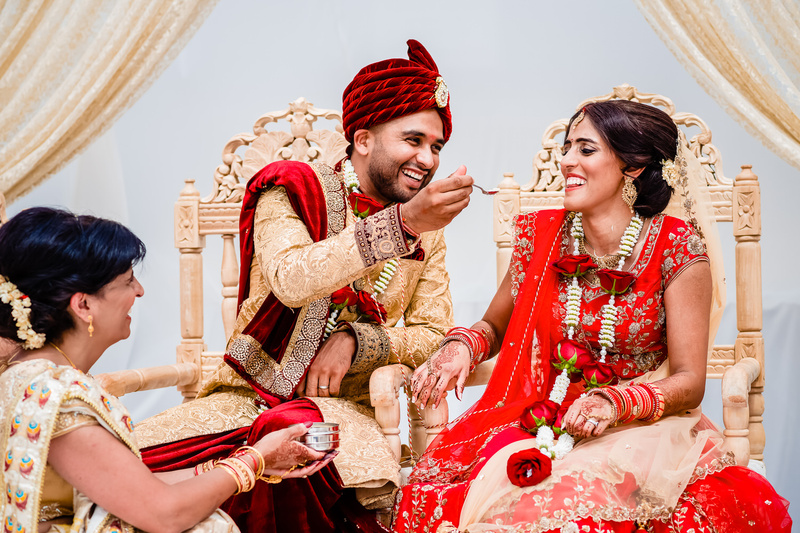 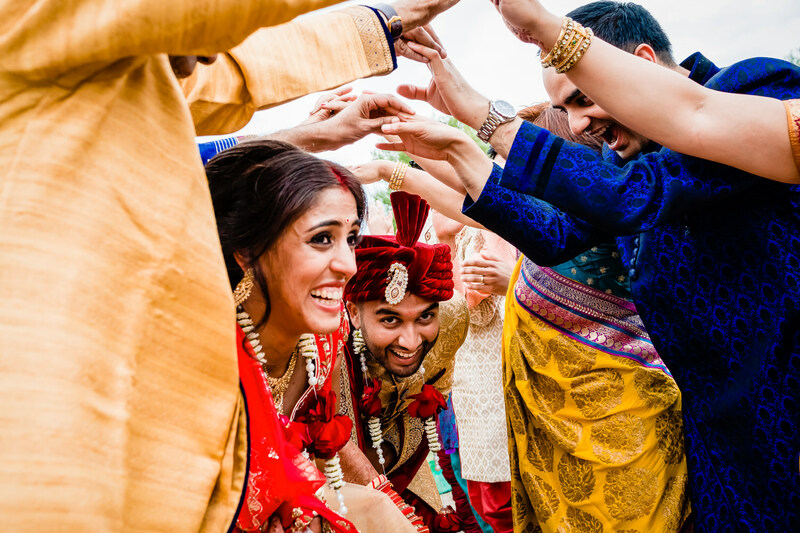 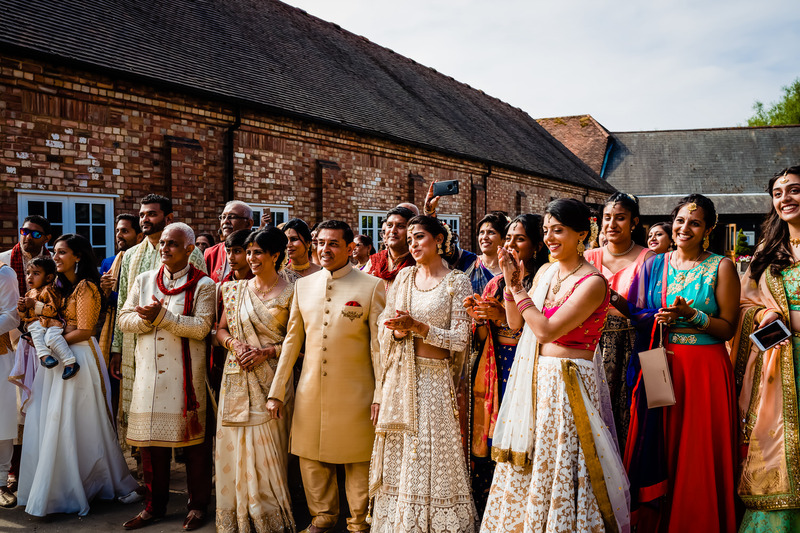 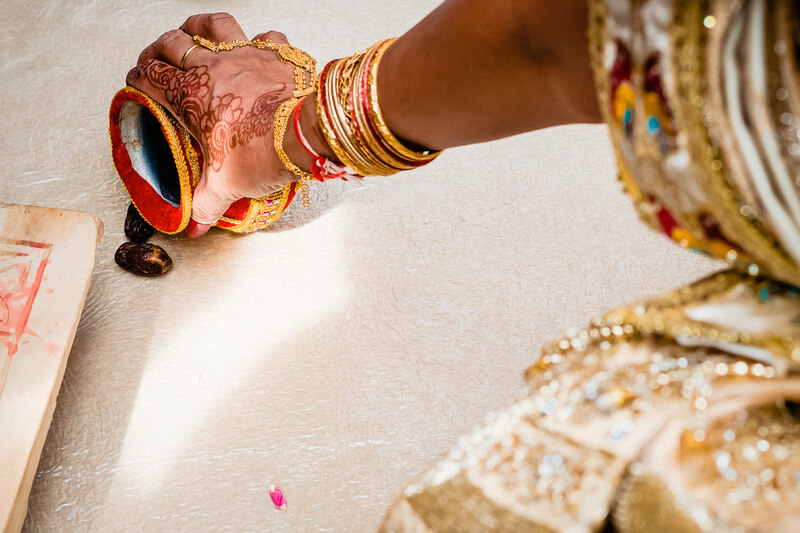 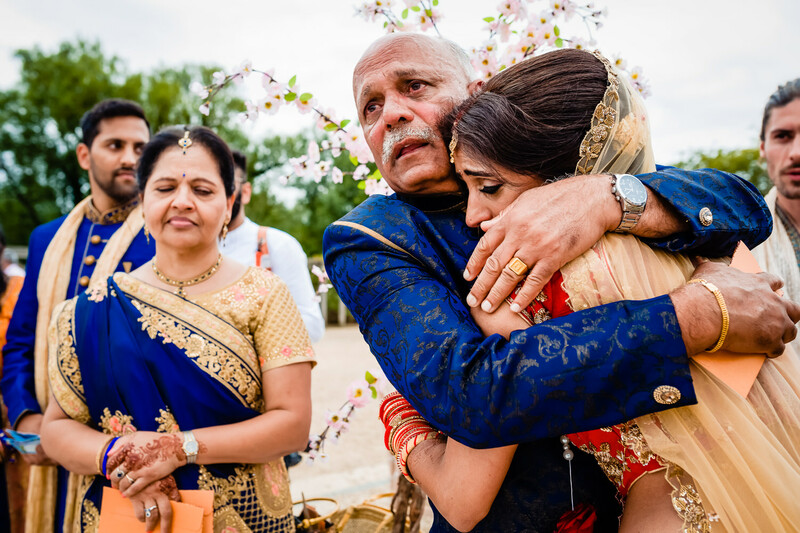 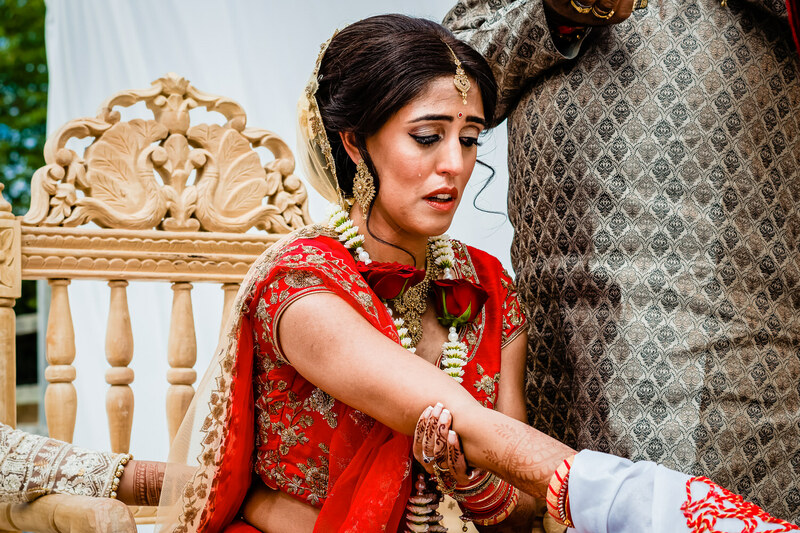 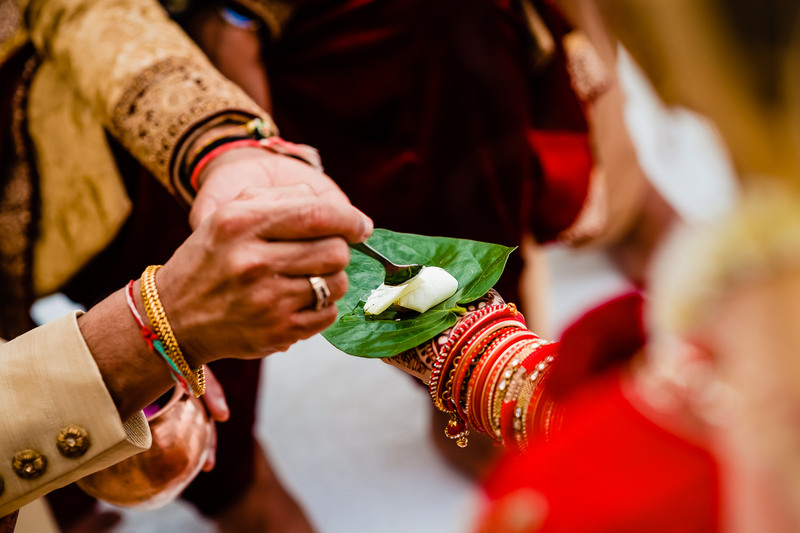 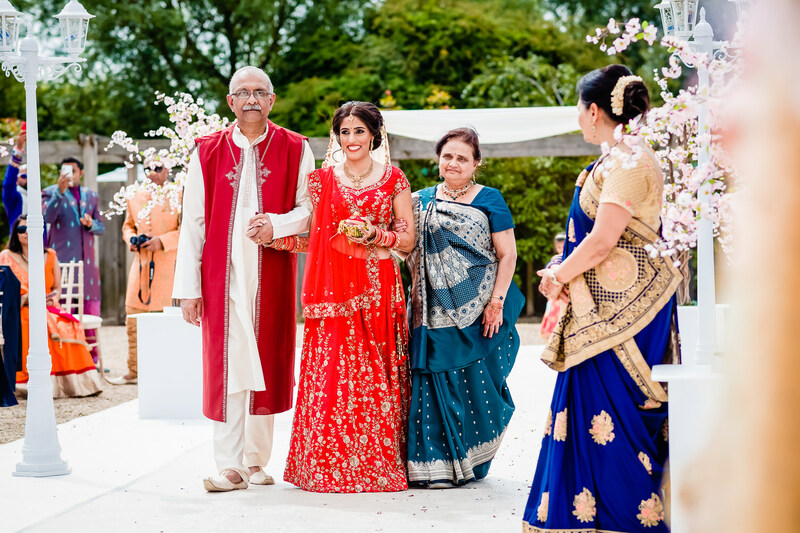 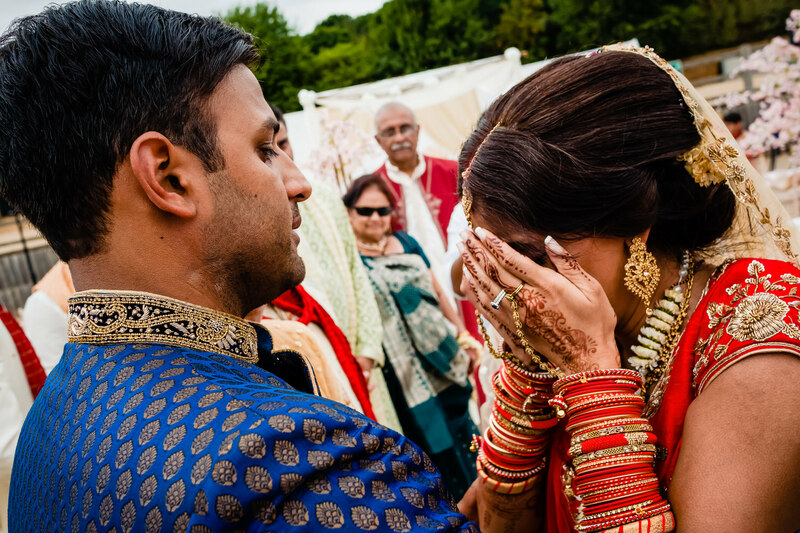 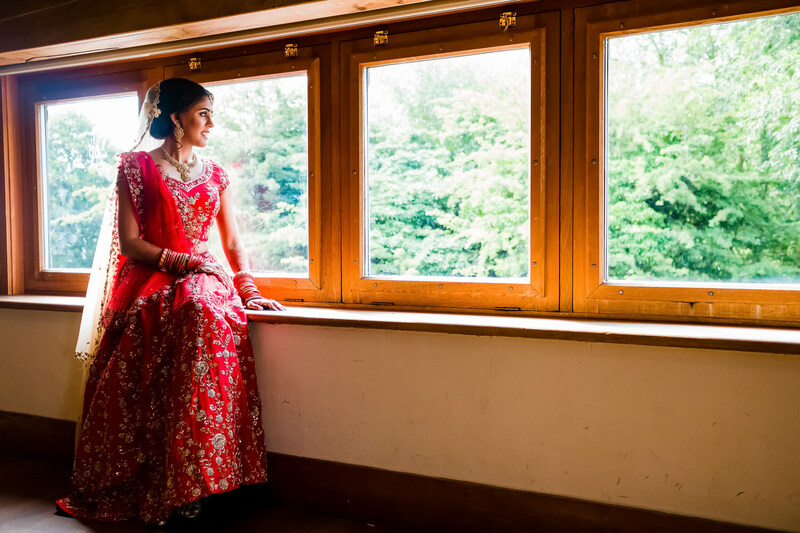 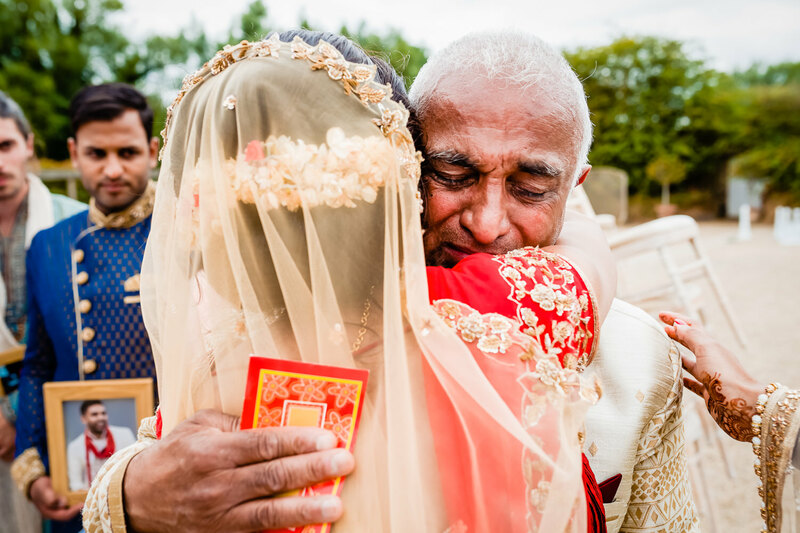 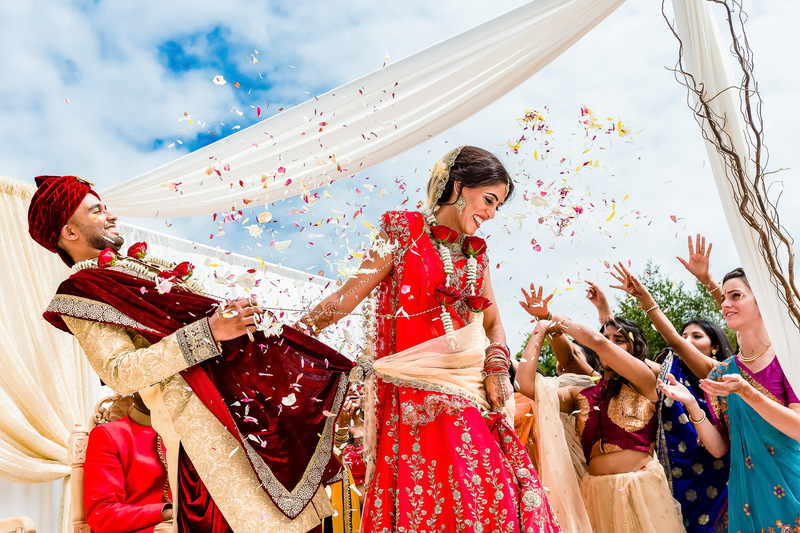 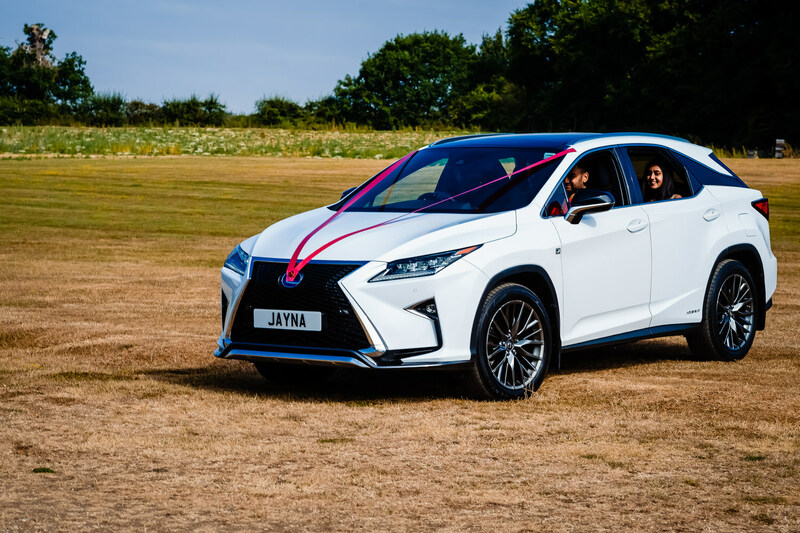 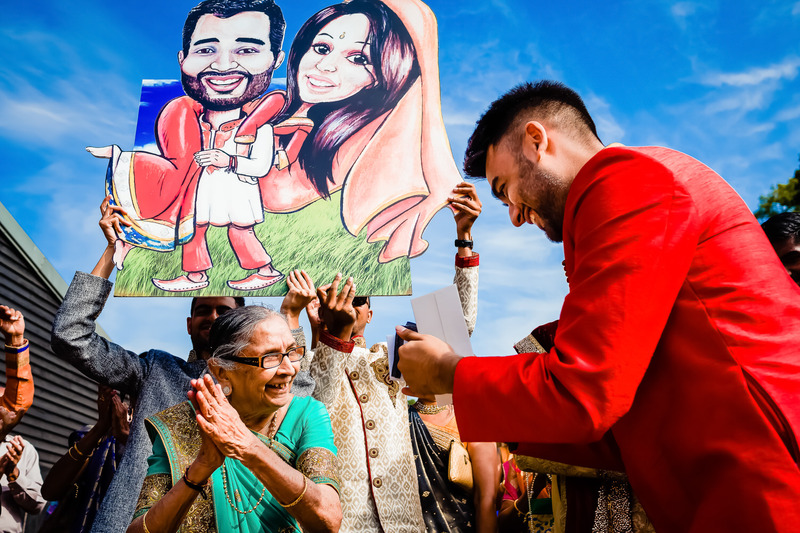 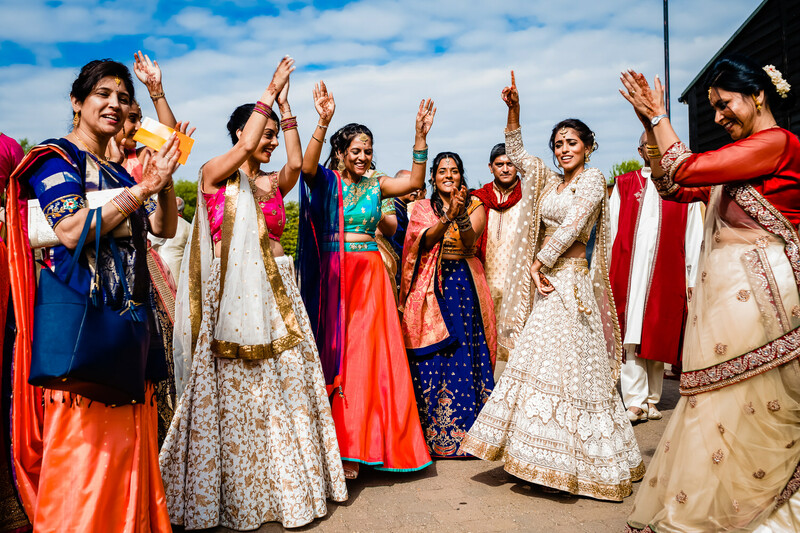 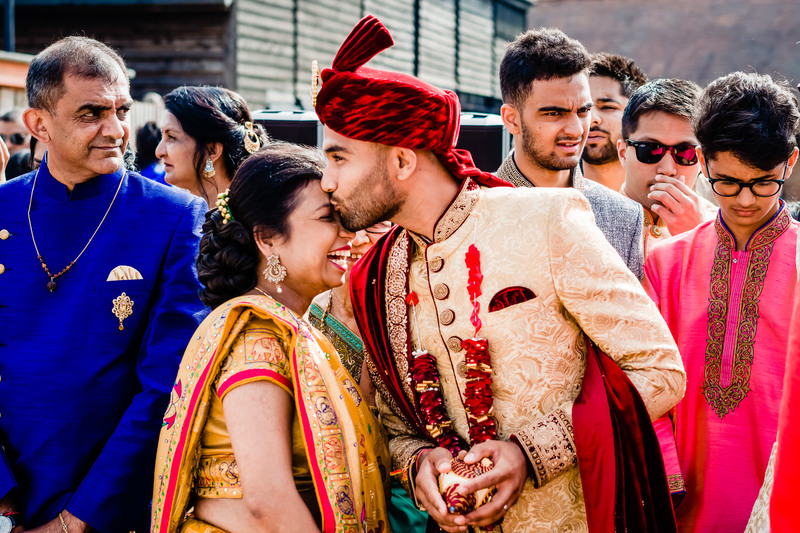 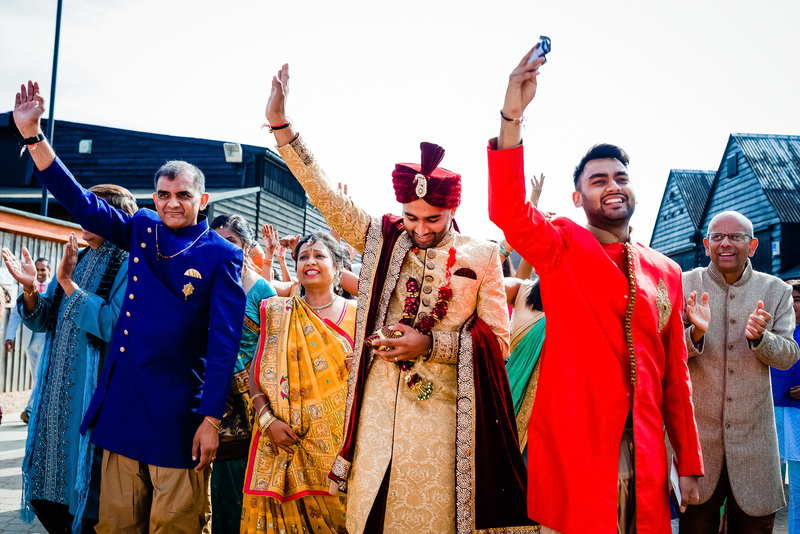 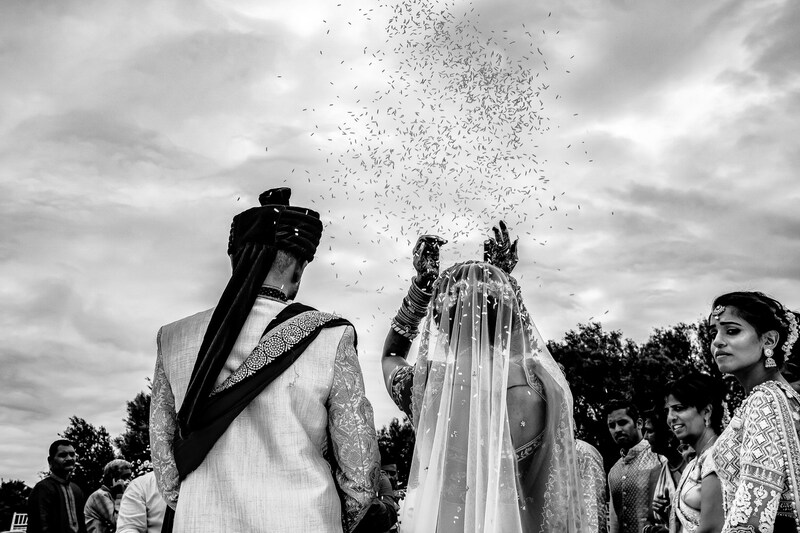 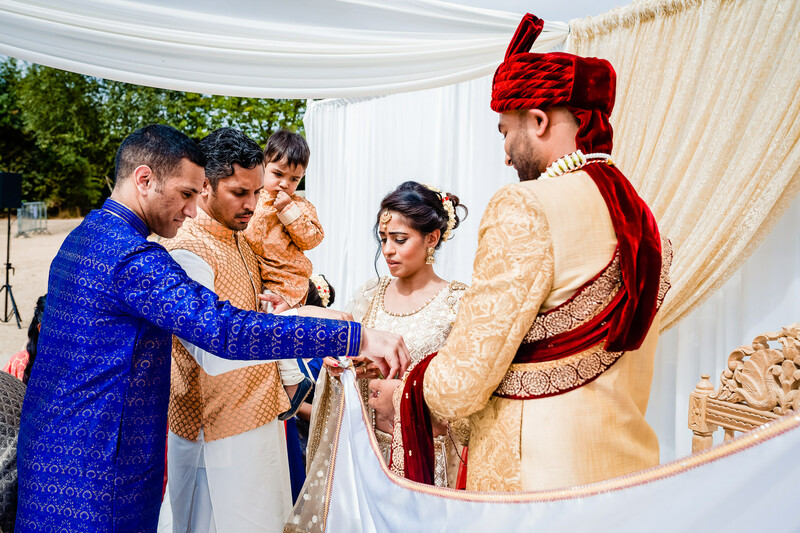 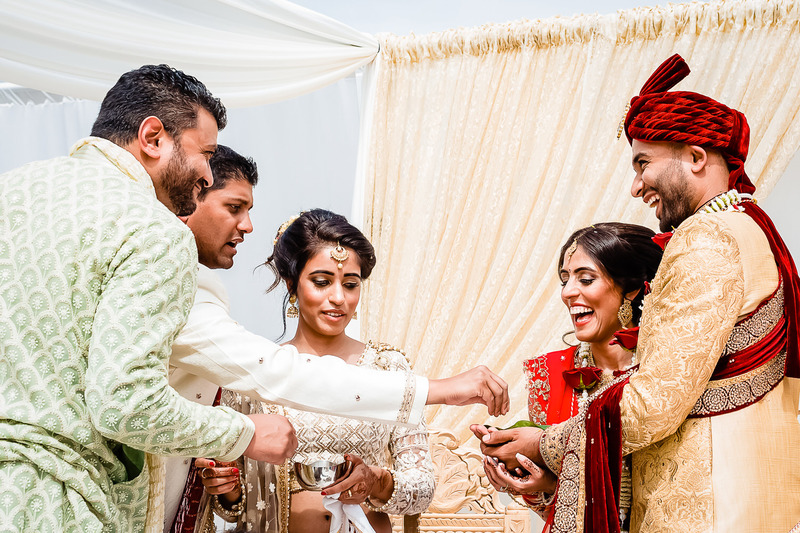 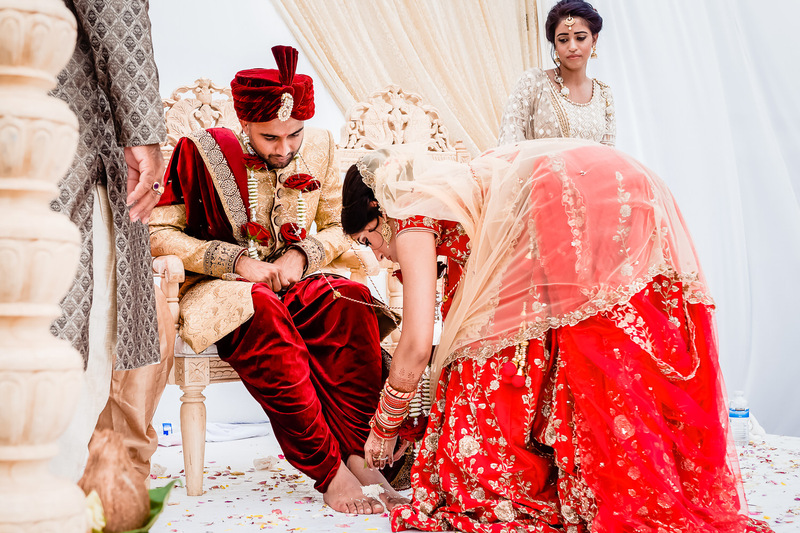 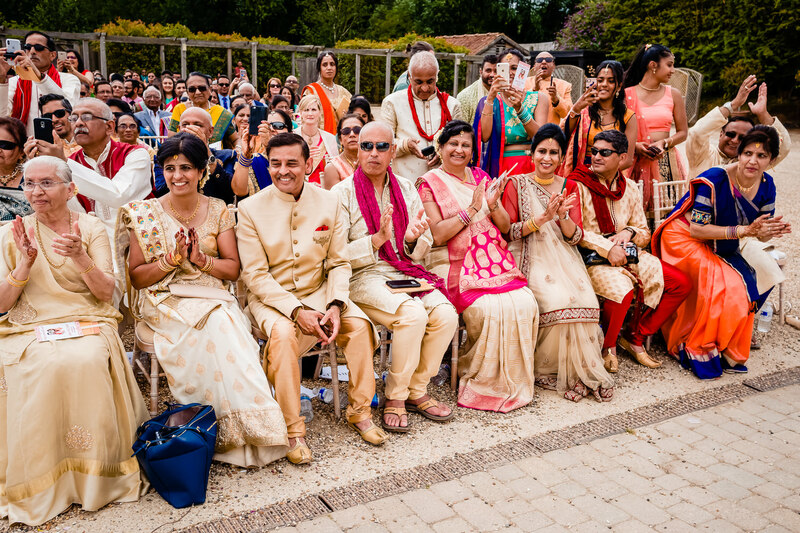 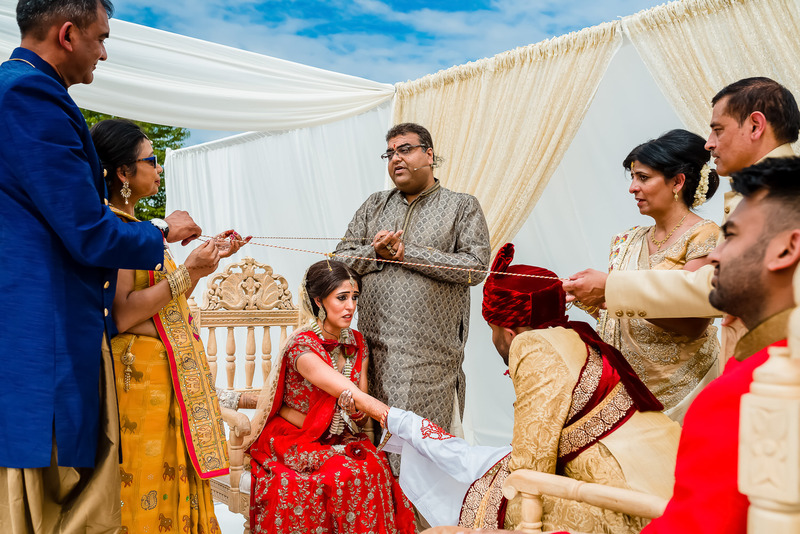 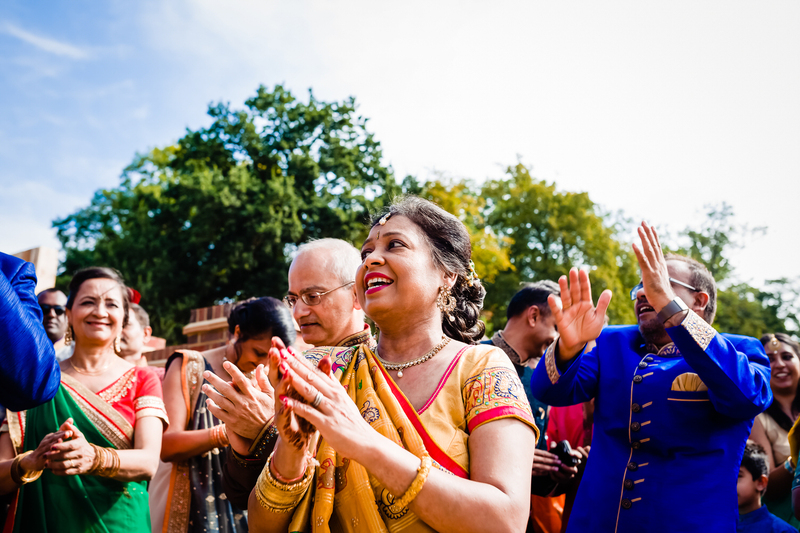 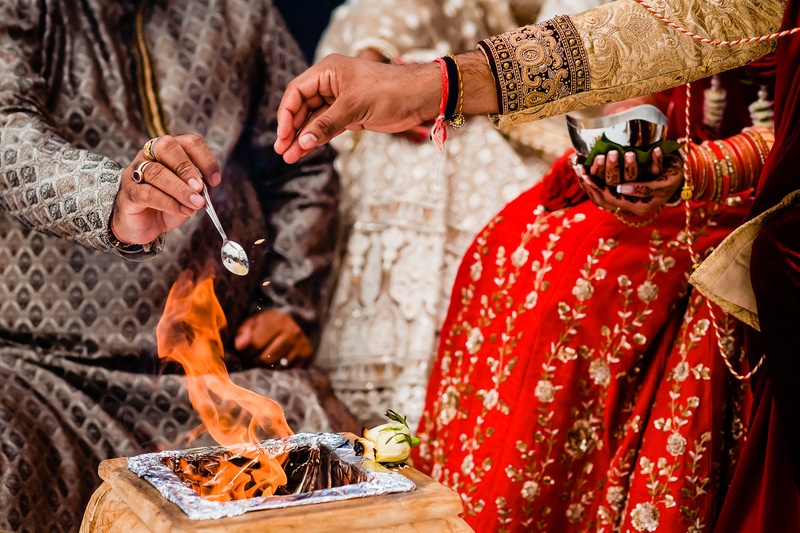 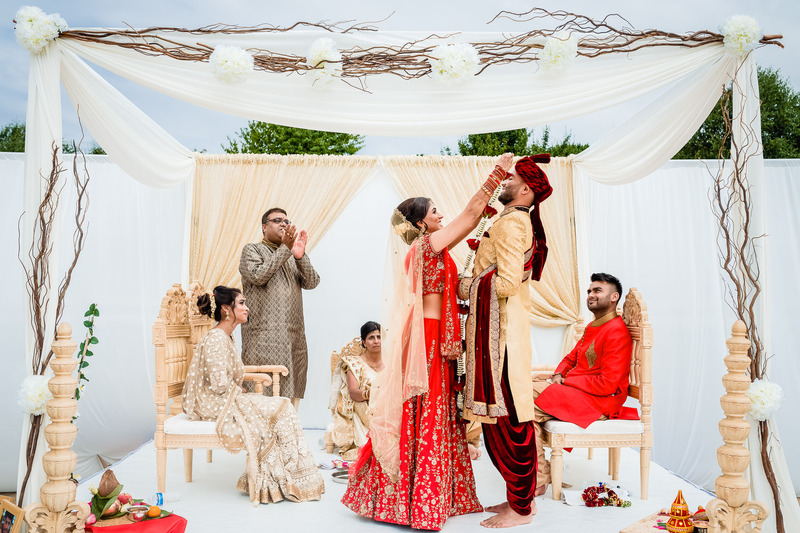 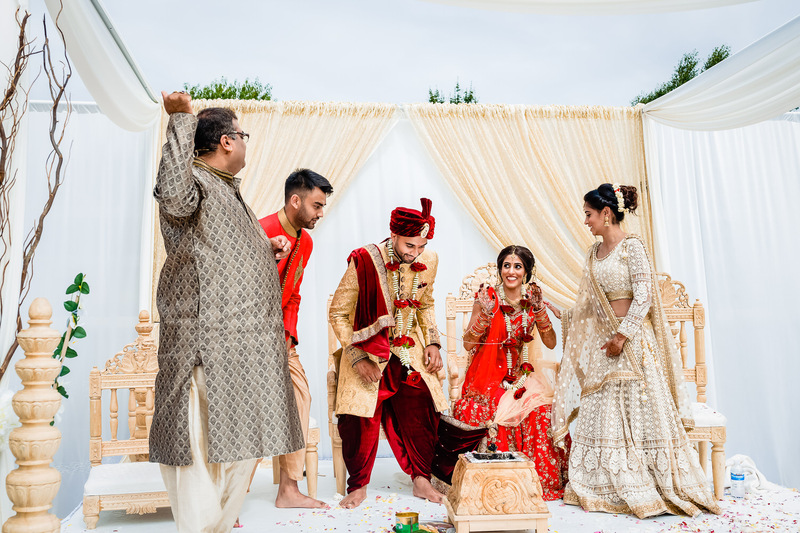 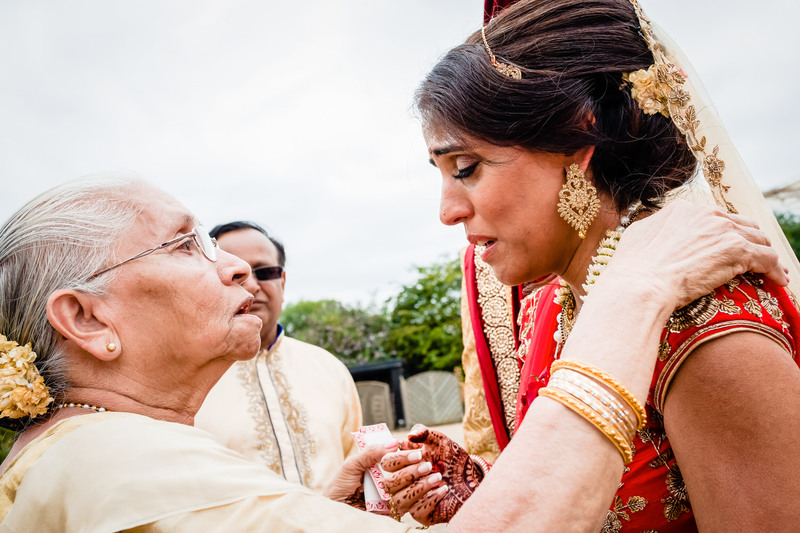 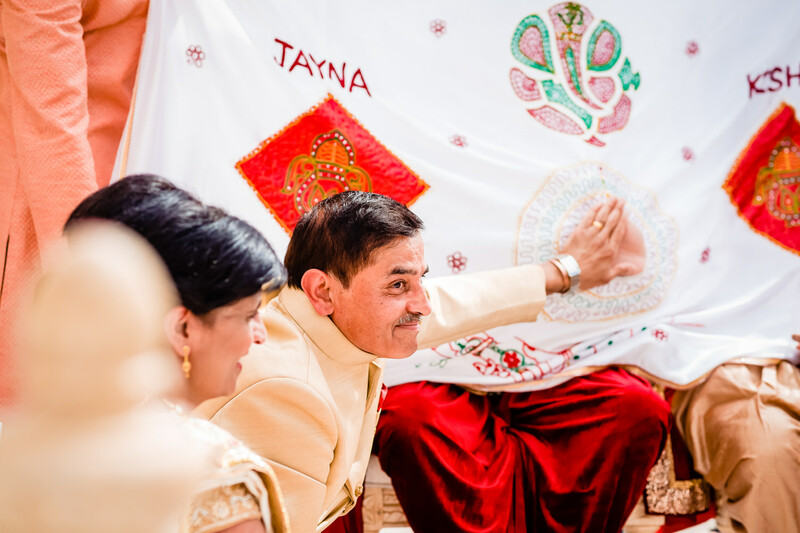 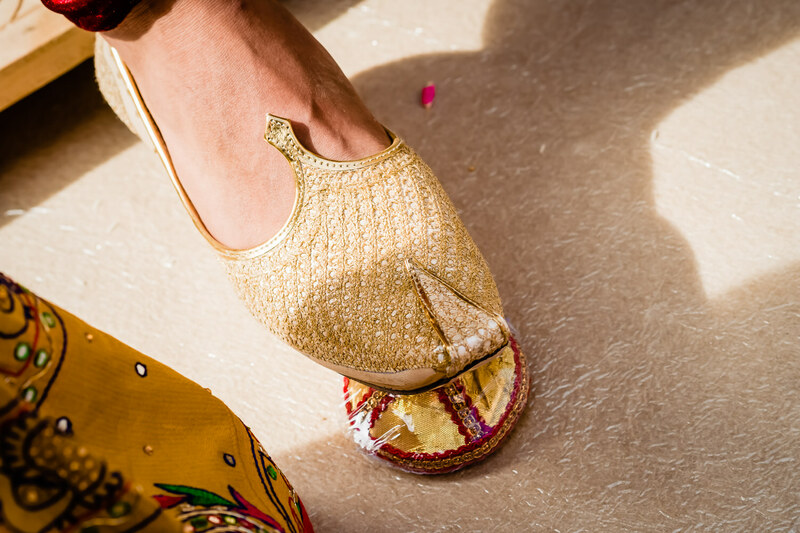 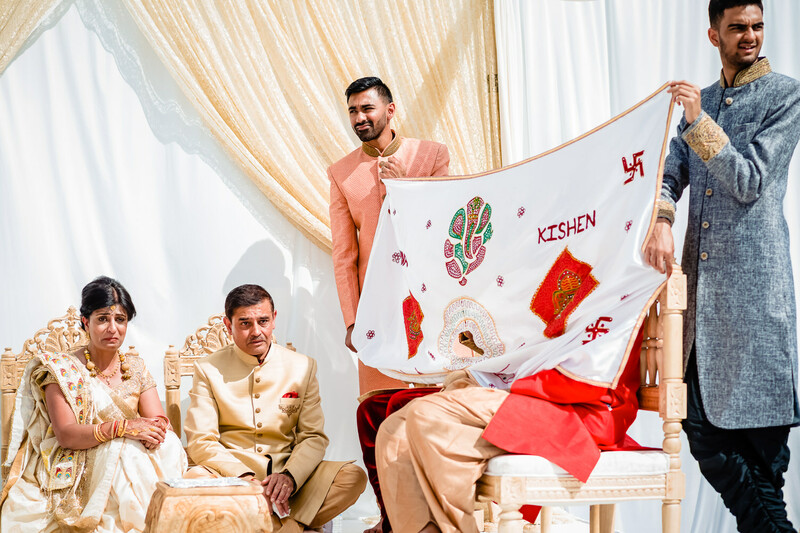 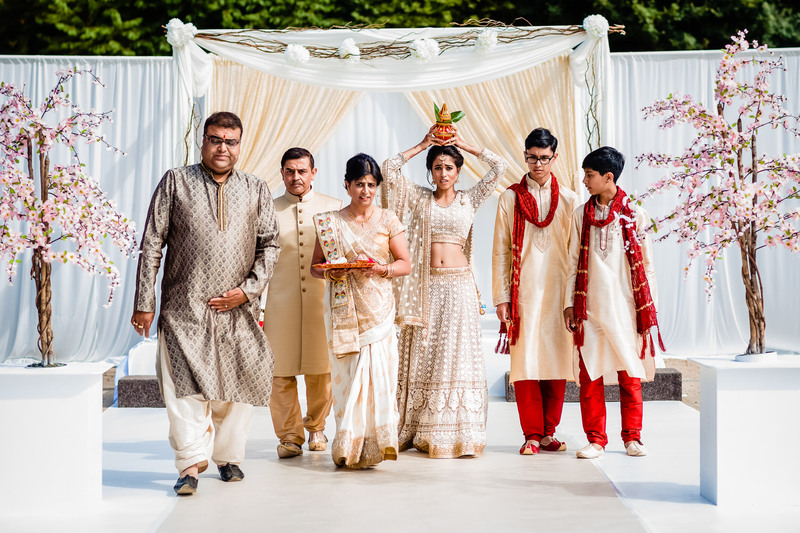 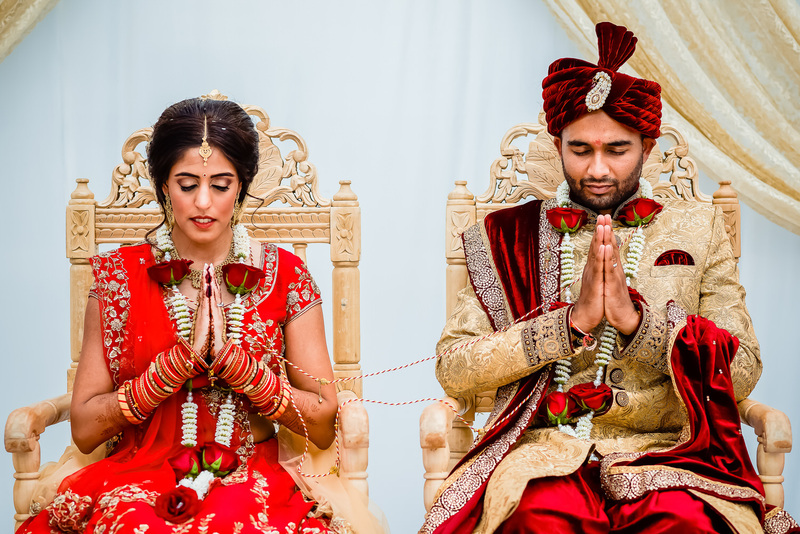 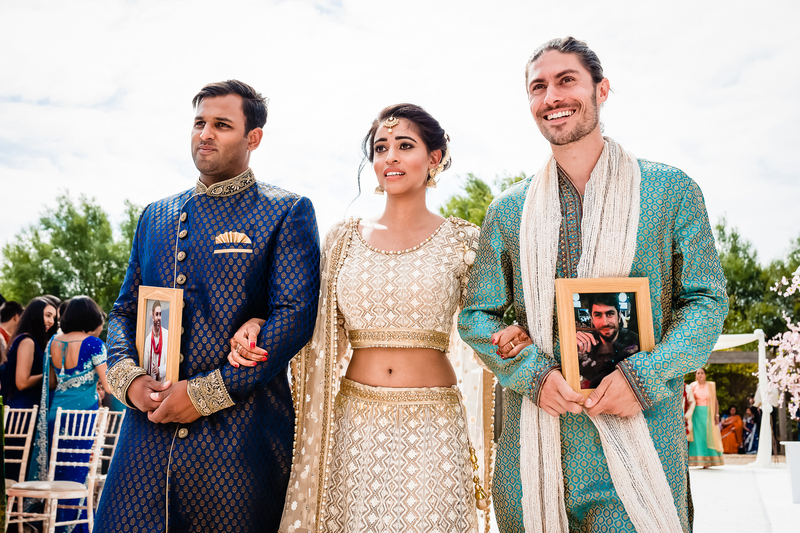 The ceremony was topped off with traditional wedding games, heaps of delicious Indian cuisine – and the final, bittersweet farewell as the couple were waved away to start their lives together.